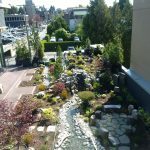 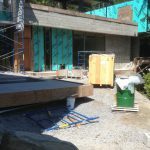 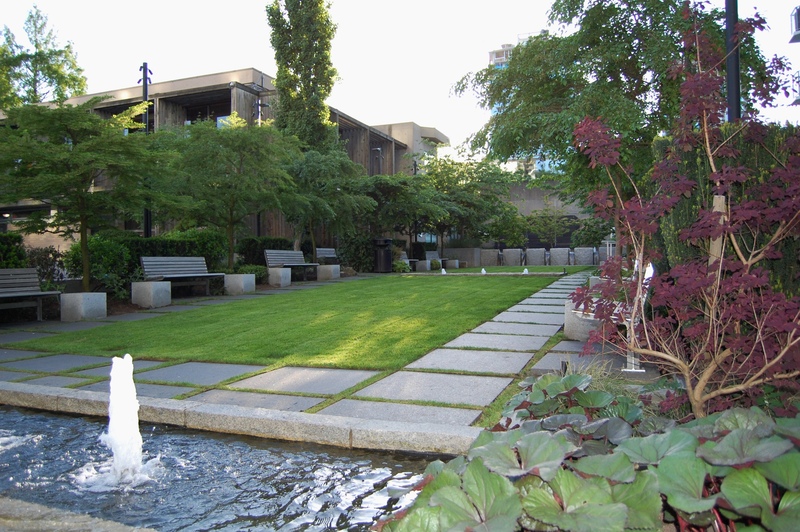 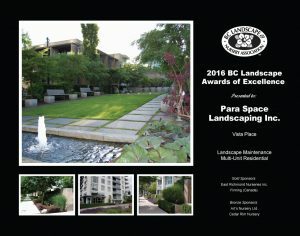 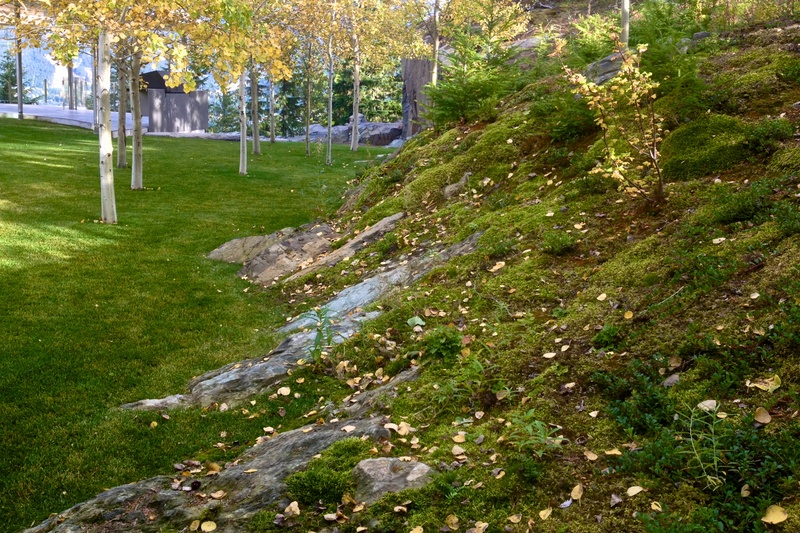 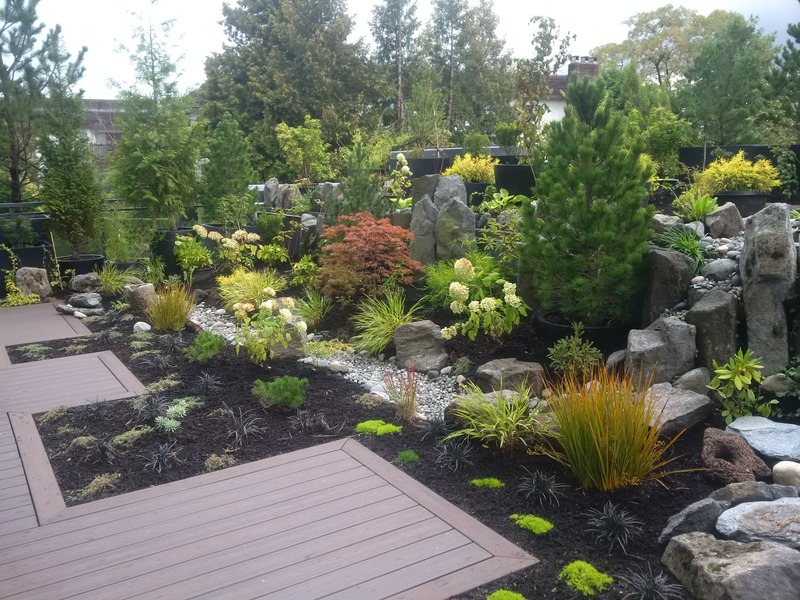 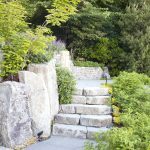 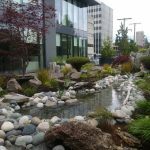 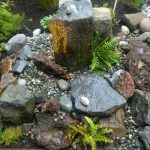 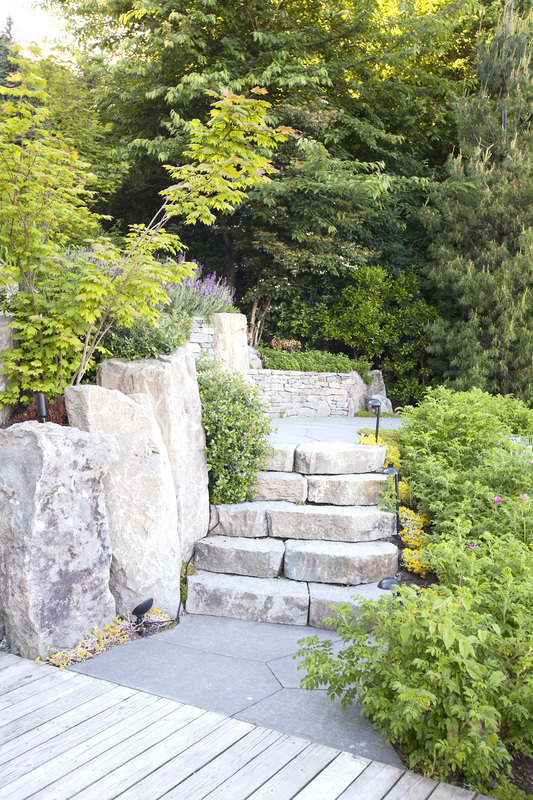 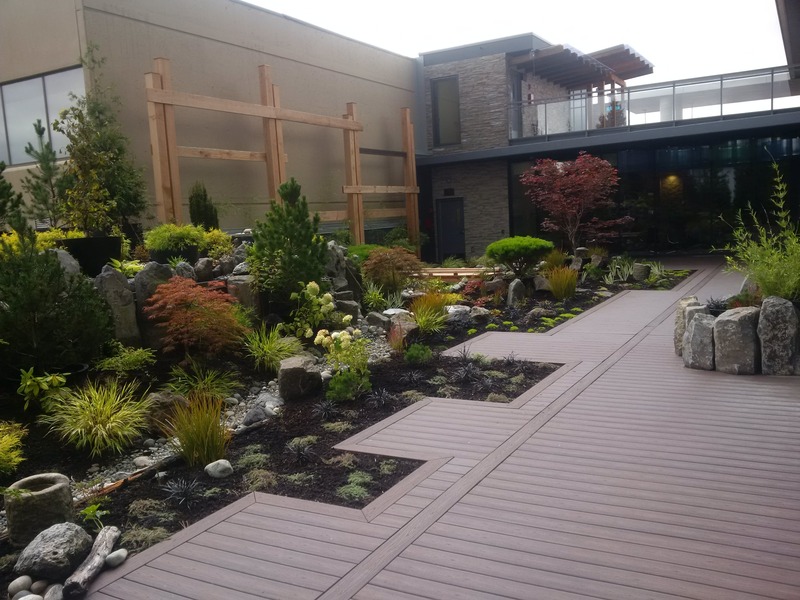 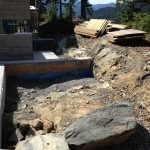 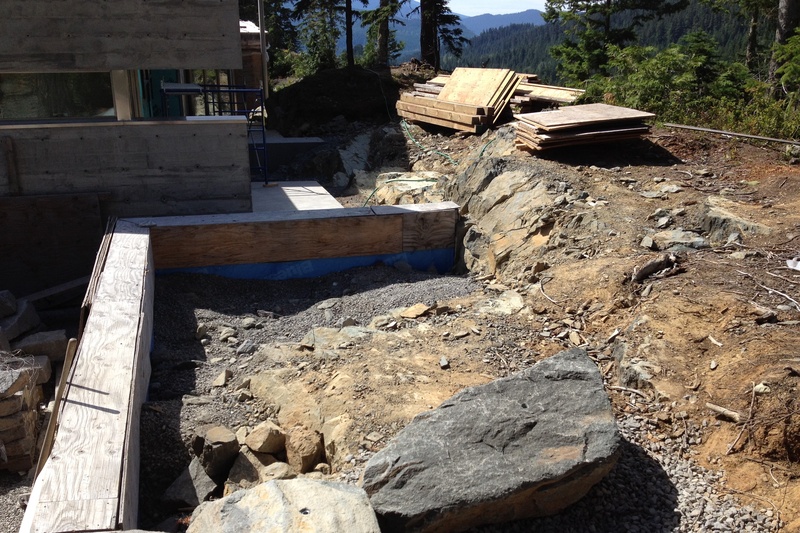 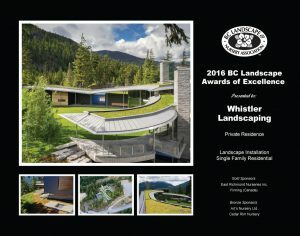 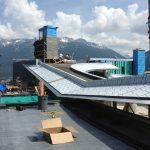 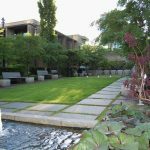 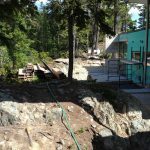 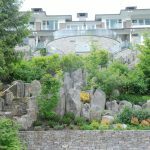 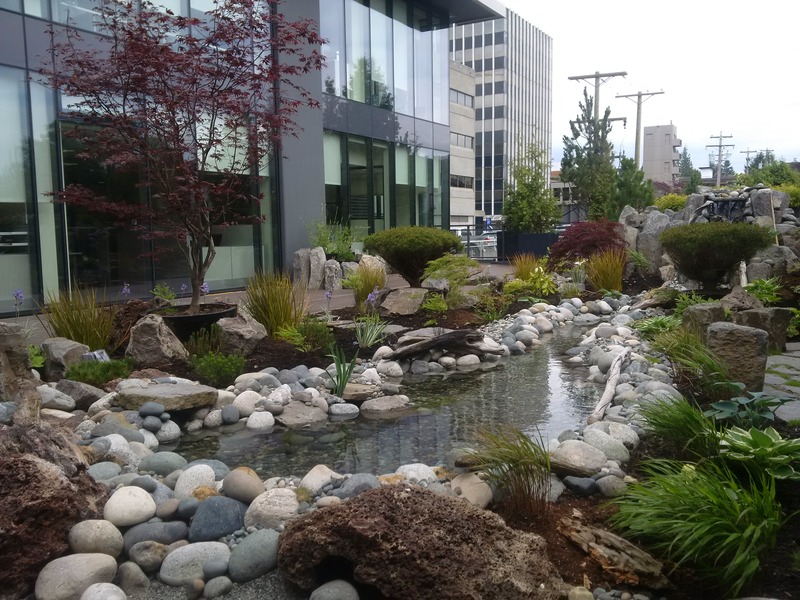 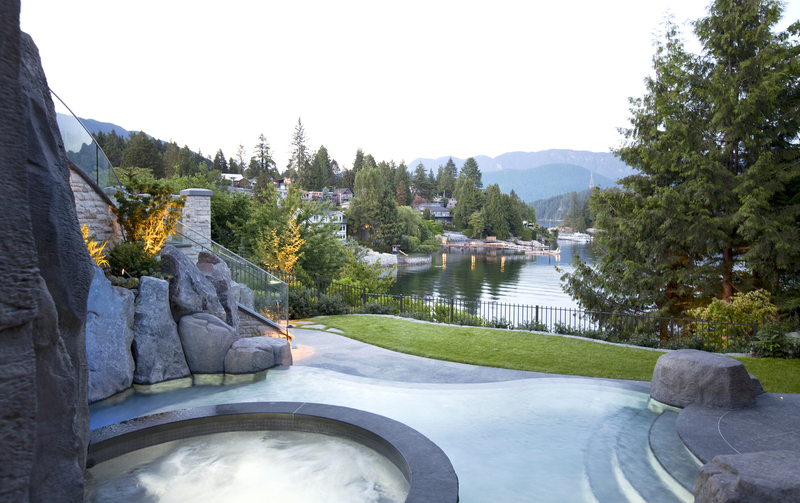 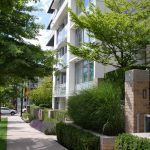 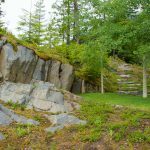 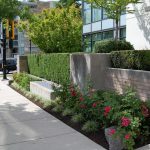 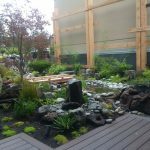 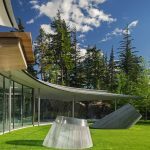 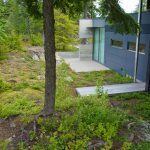 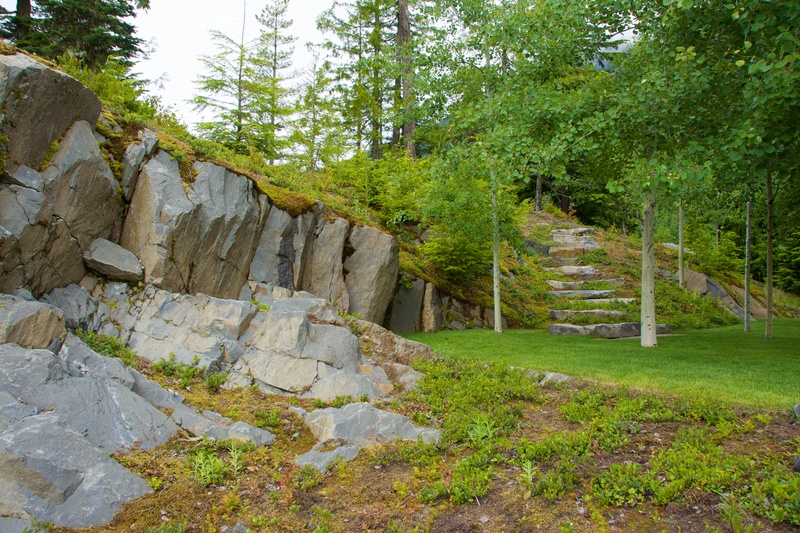 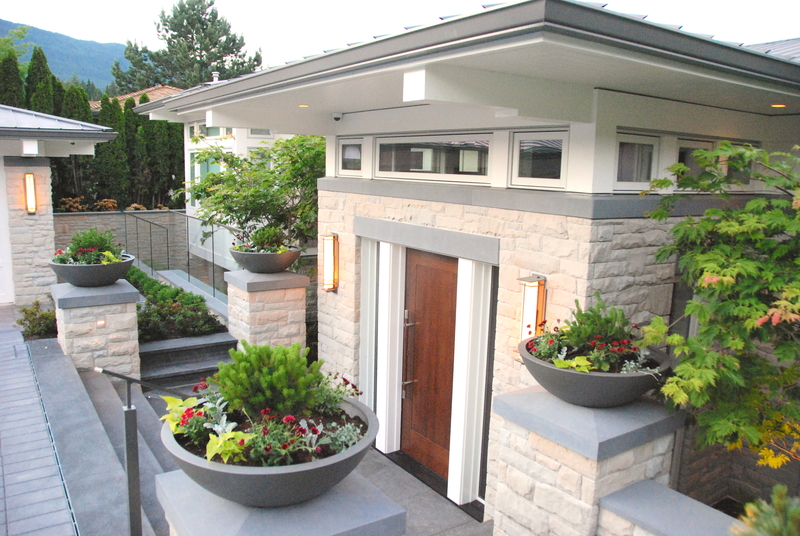 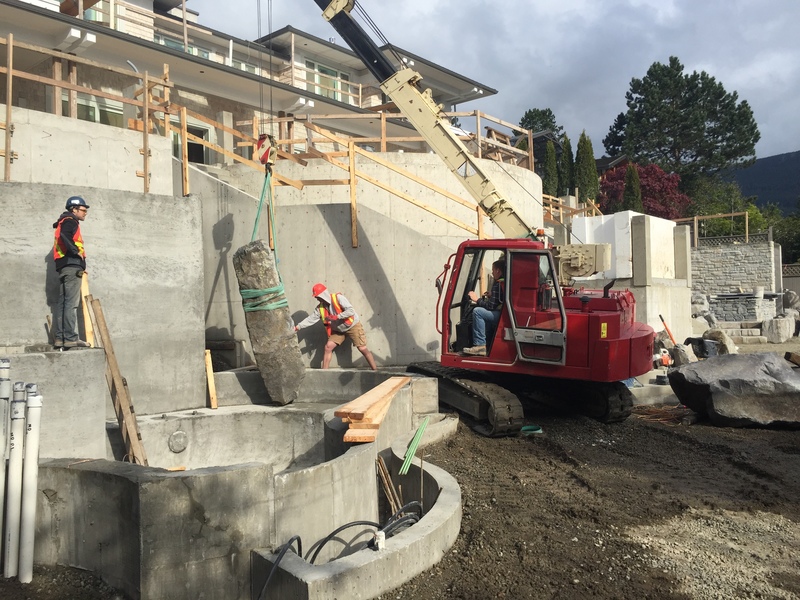 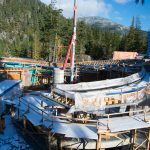 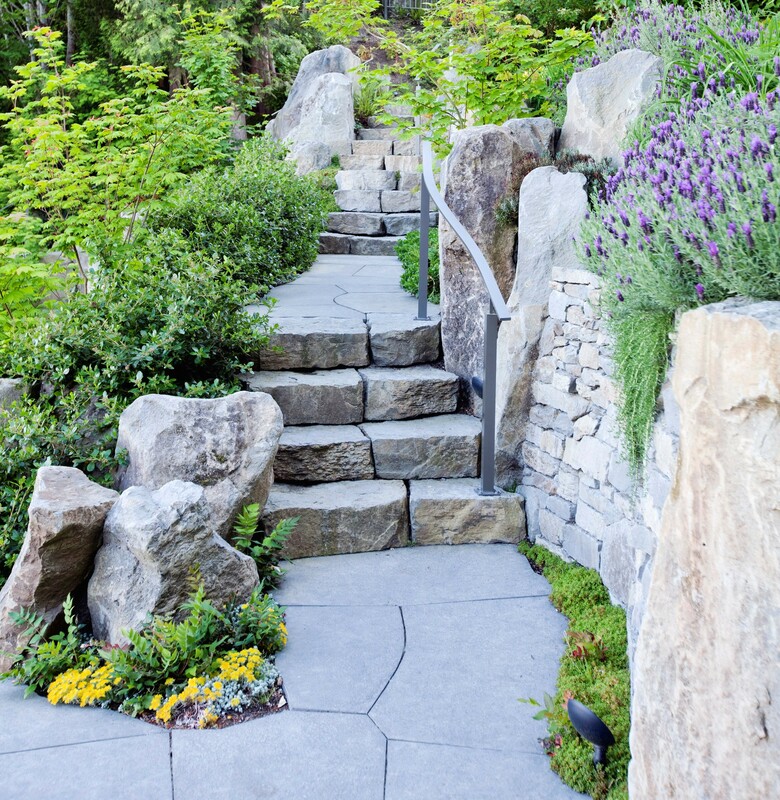 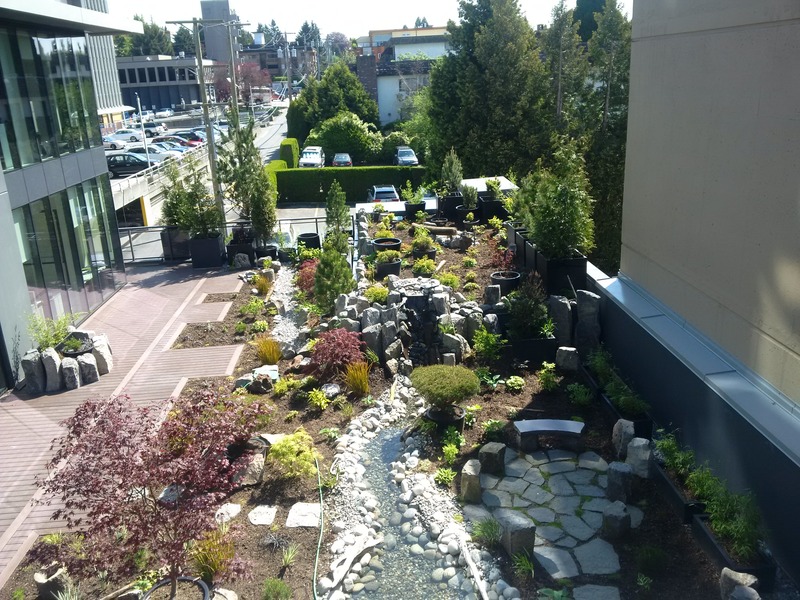 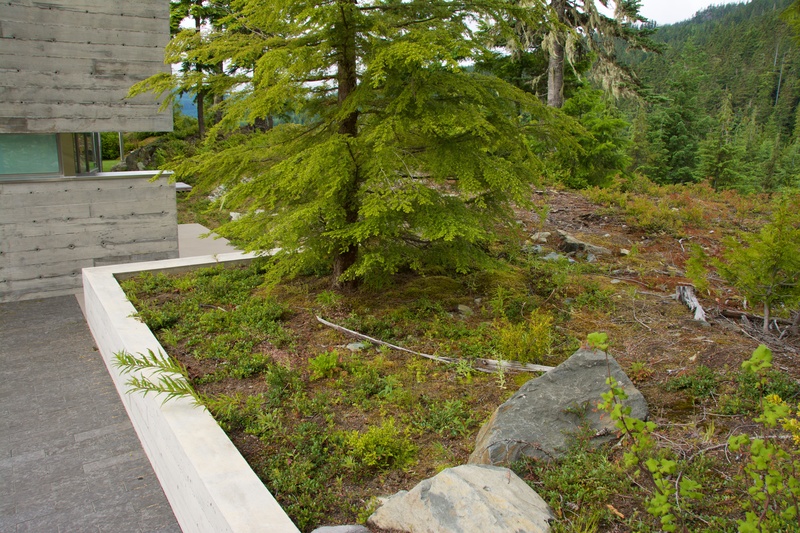 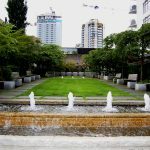 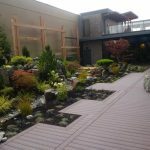 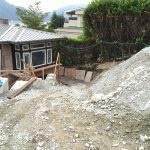 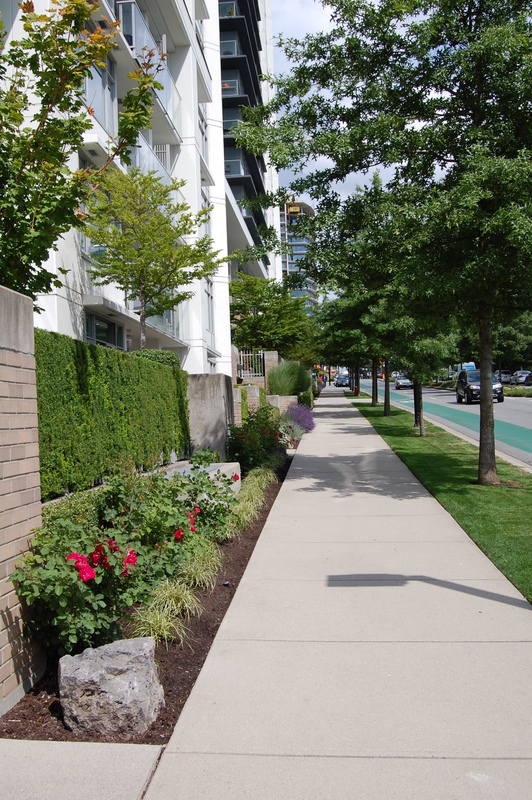 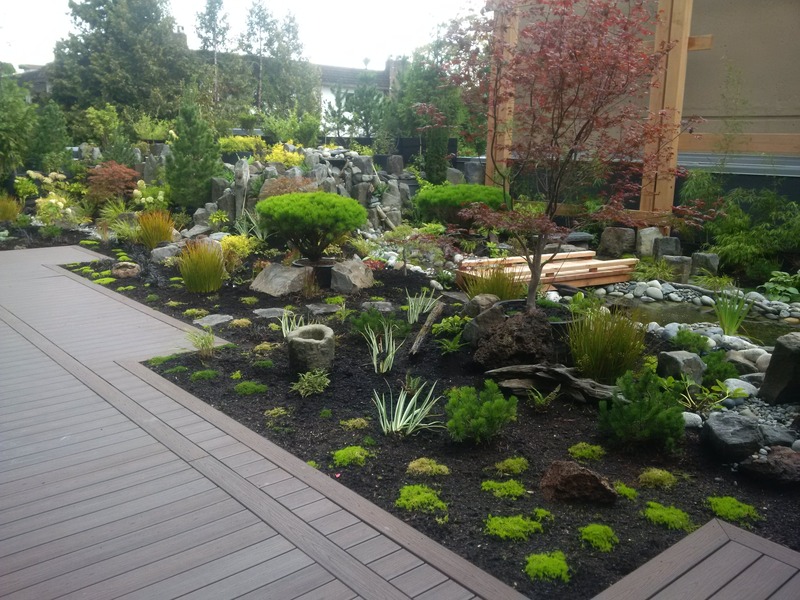 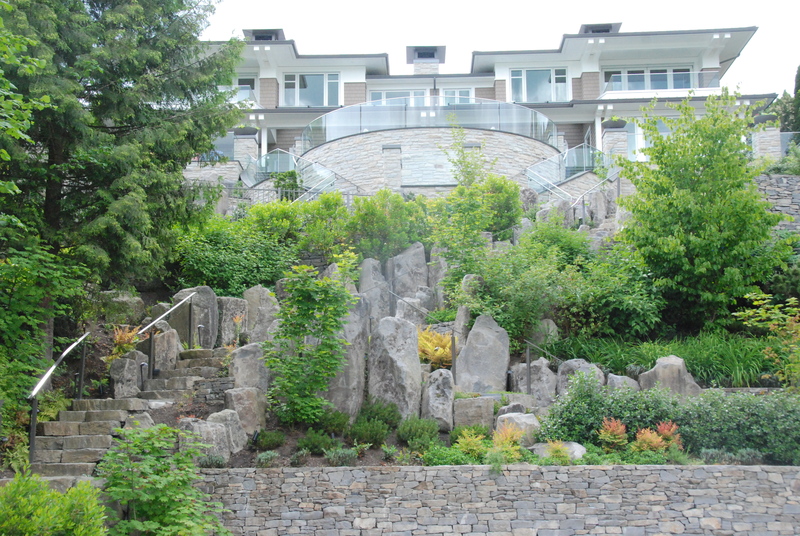 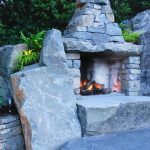 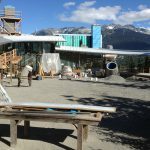 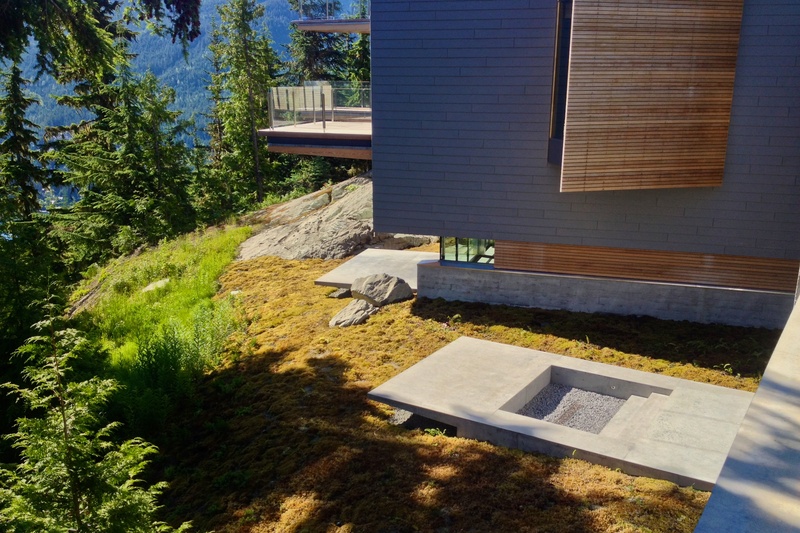 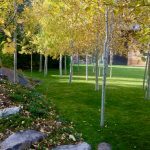 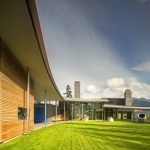 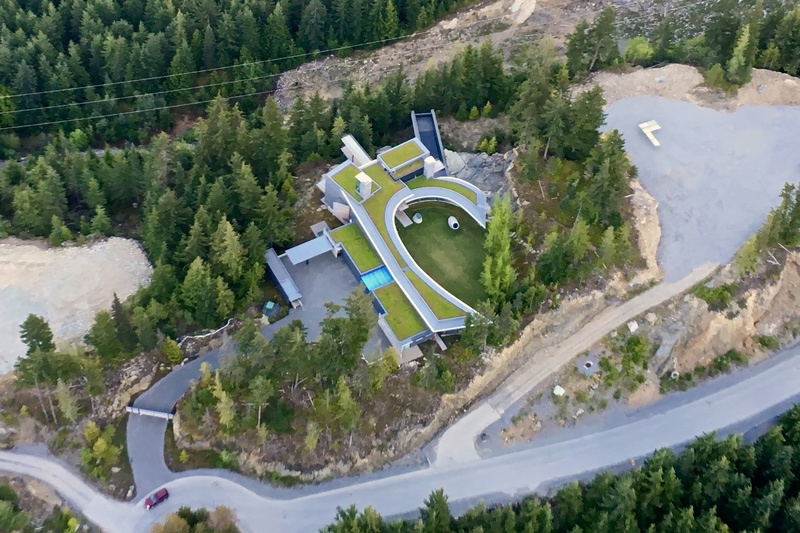 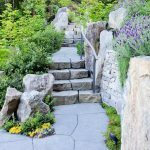 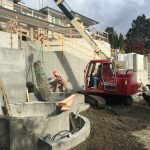 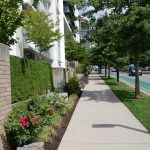 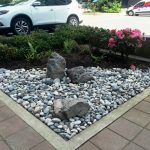 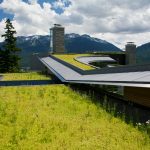 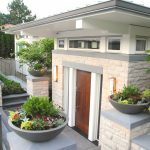 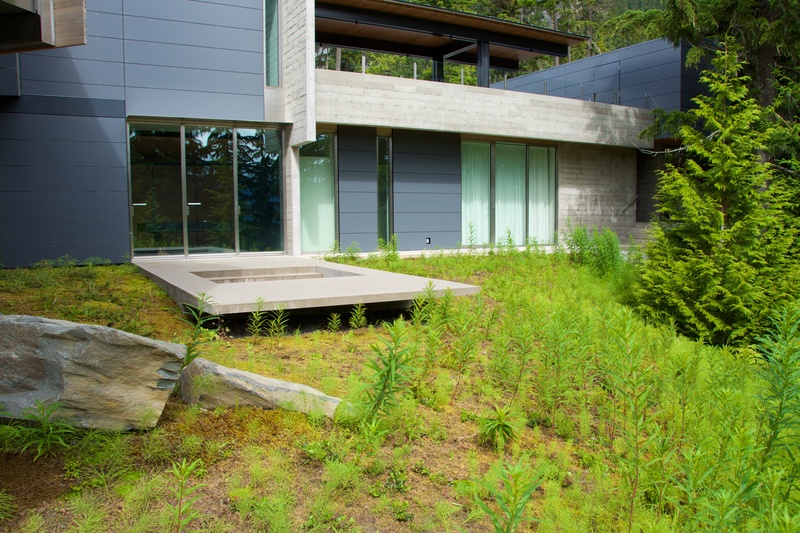 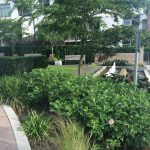 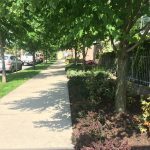 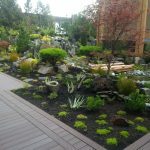 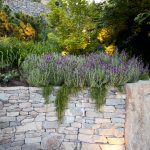 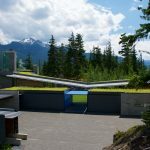 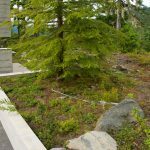 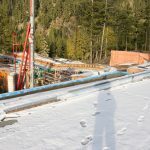 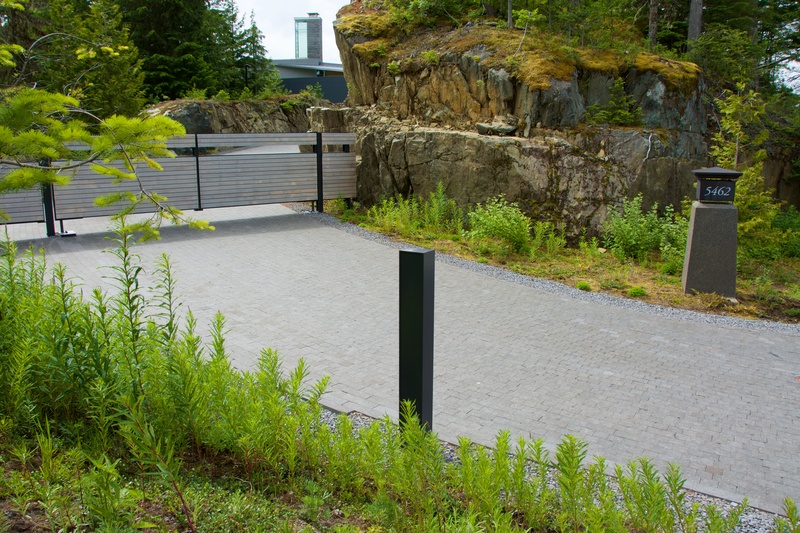 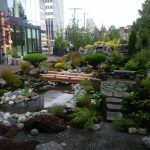 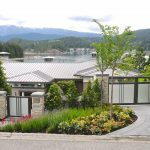 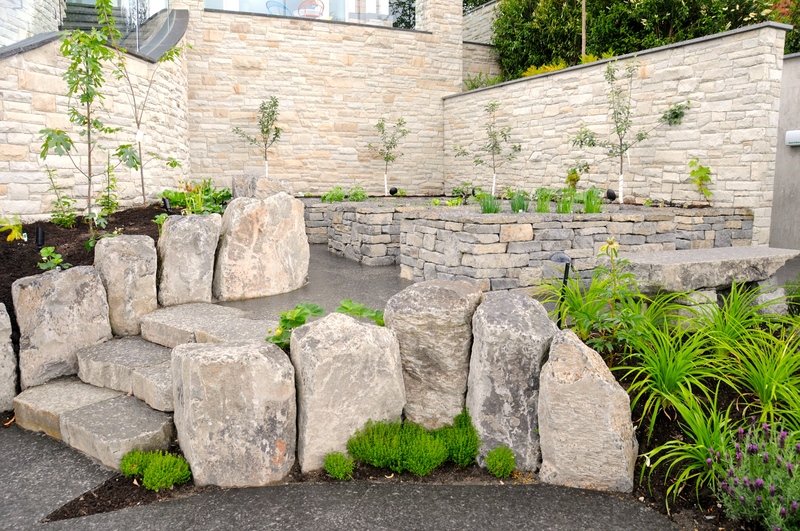 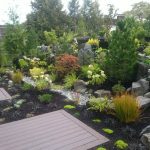 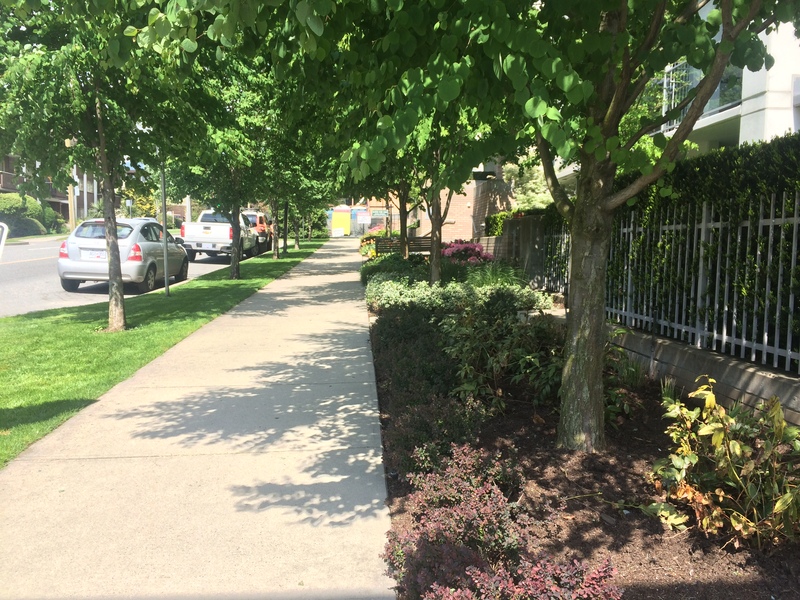 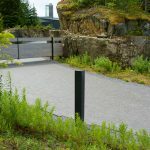 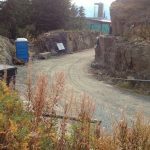 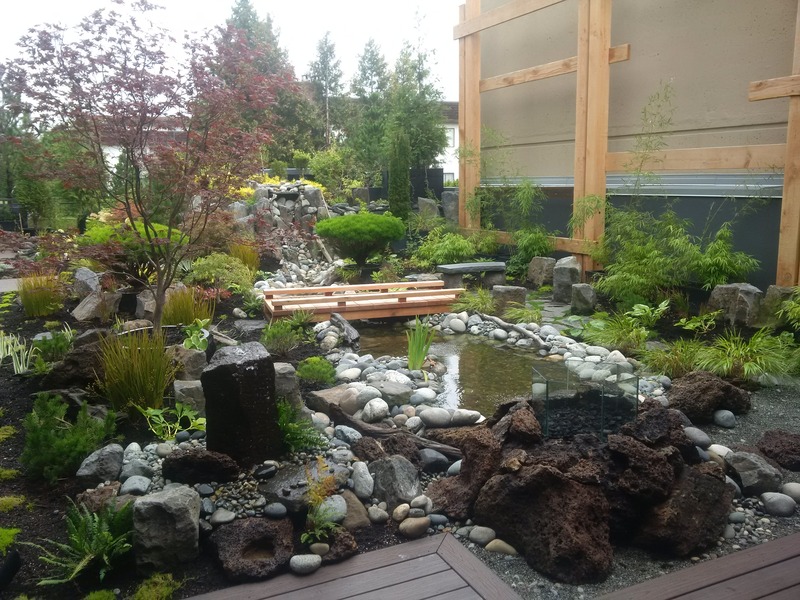 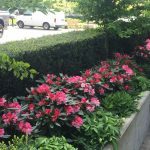 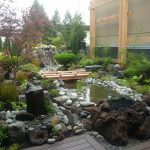 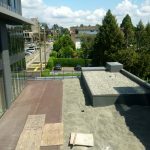 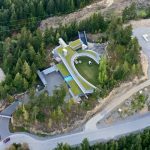 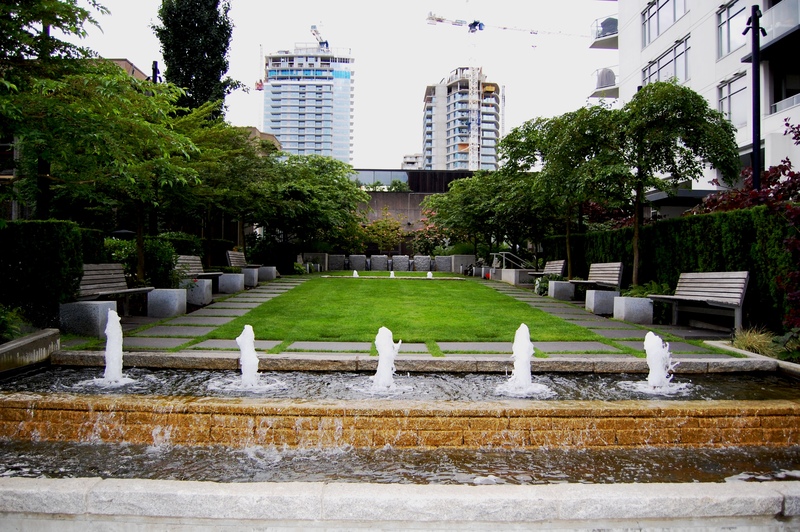 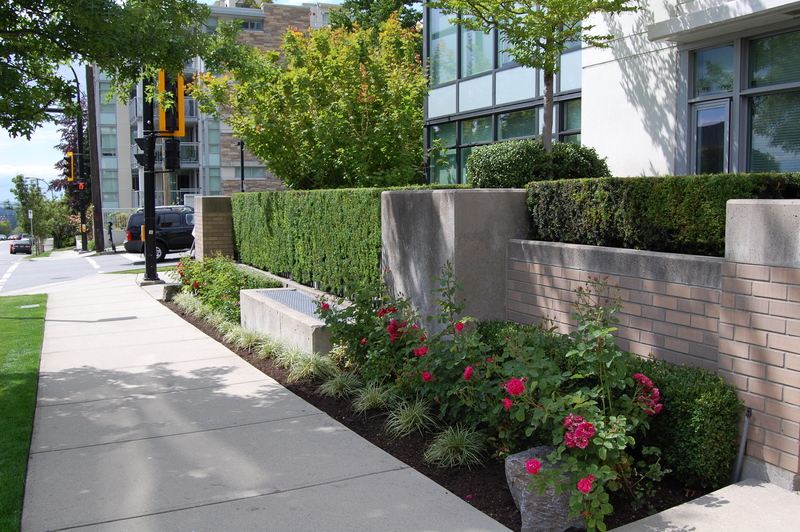 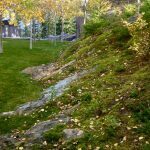 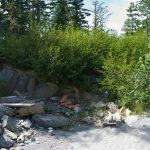 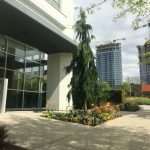 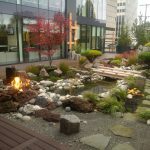 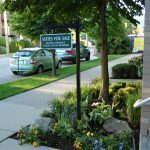 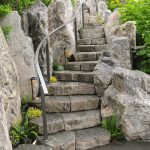 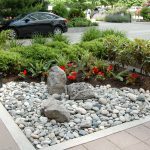 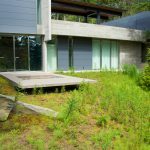 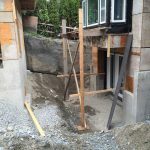 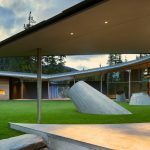 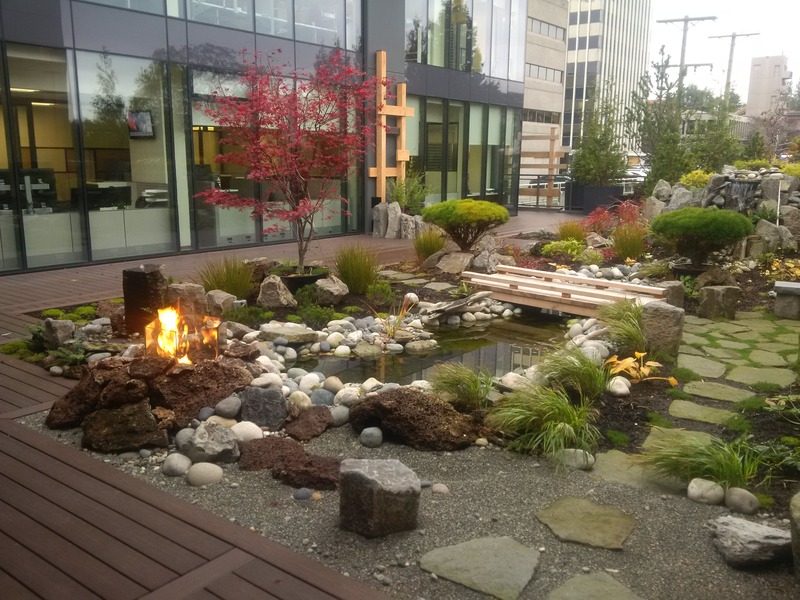 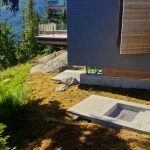 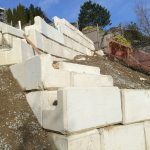 Each Year the BC Landscape Awards of Excellence program honours some of the high quality work being done by landscape professionals throughout the province. 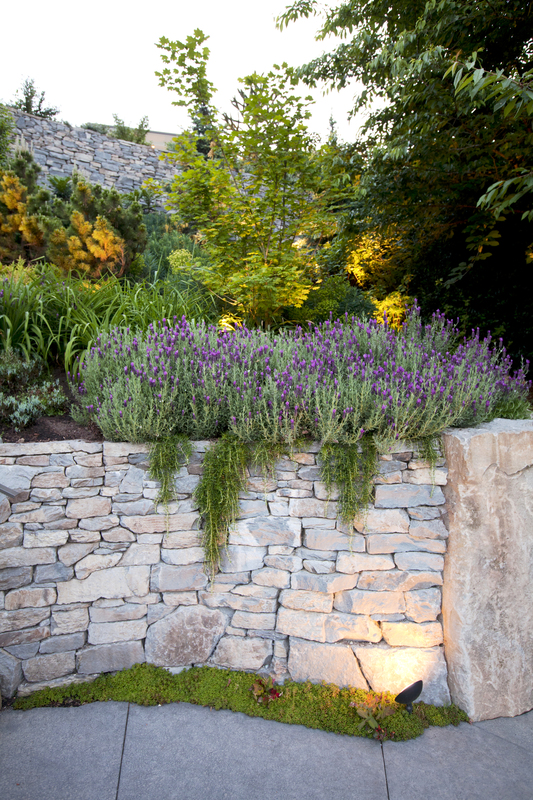 Each entry is judged anonymously and independently to ensure a fair assessment. 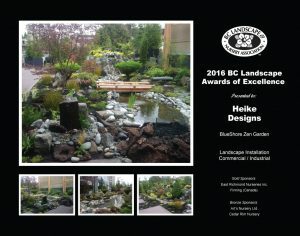 Thank you to the 2016 judges who took time out of their busy schedules to judge all the awards. 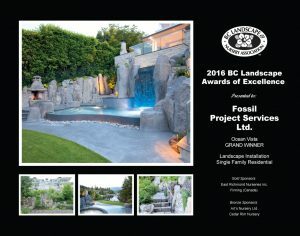 Fossil Project Services & Haven Designs - GRAND Winner!! 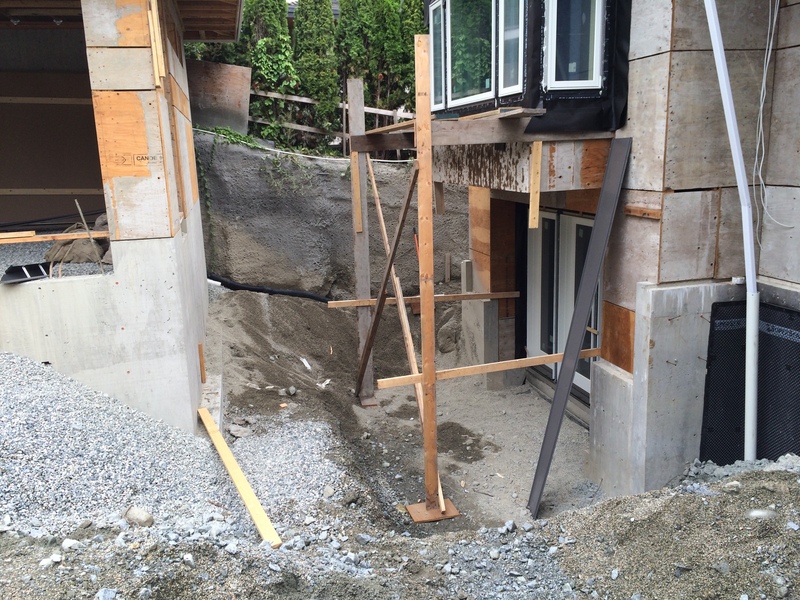 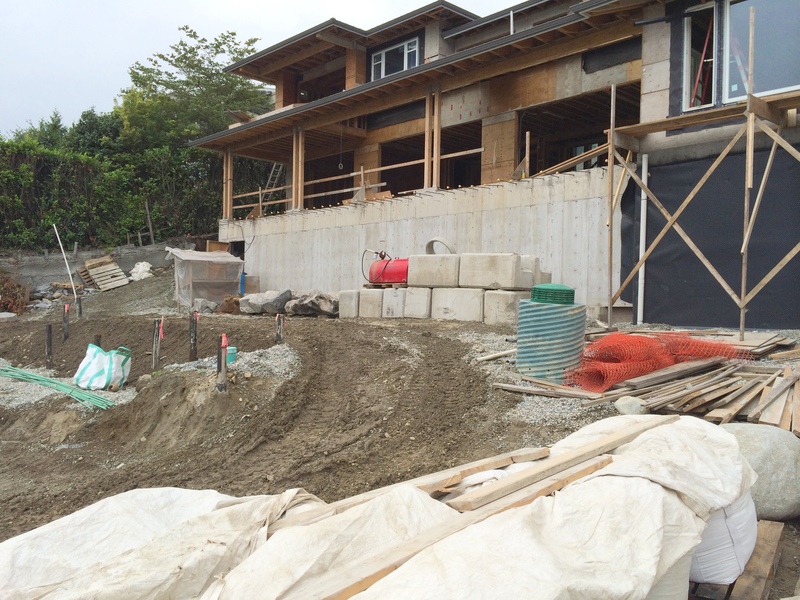 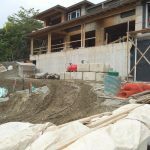 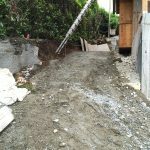 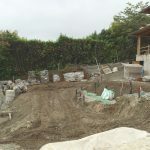 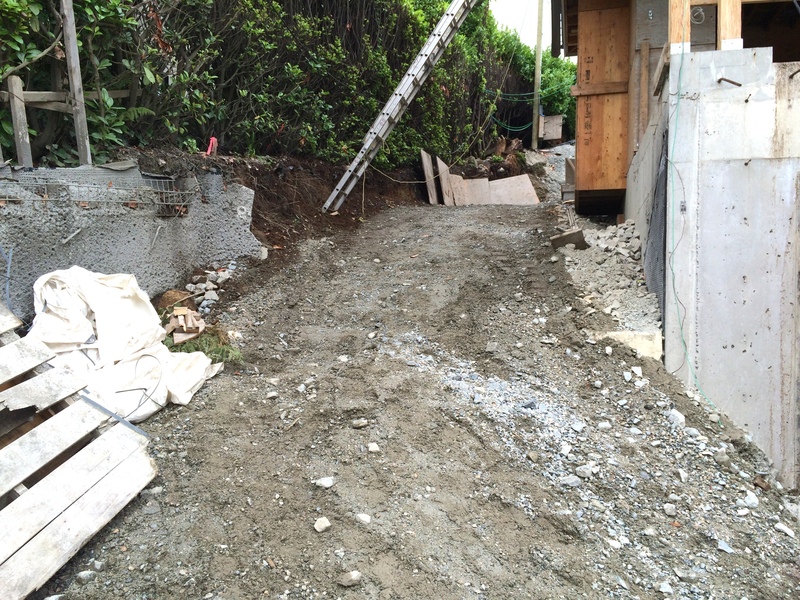 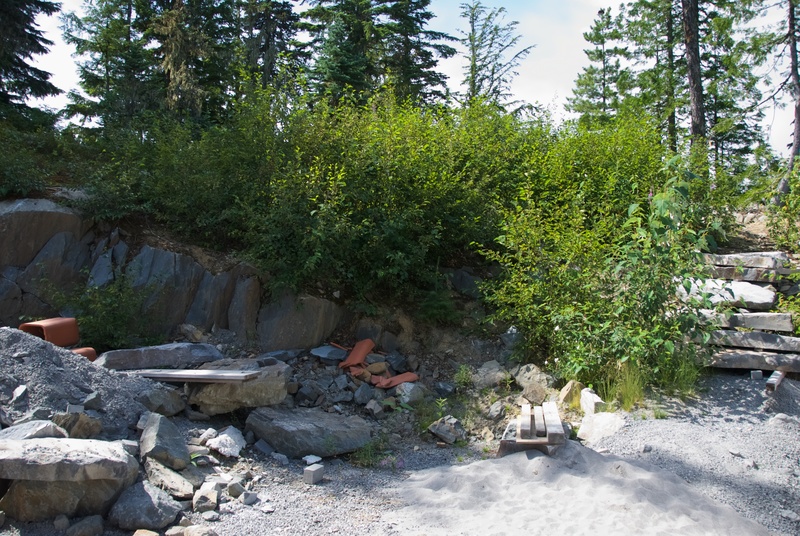 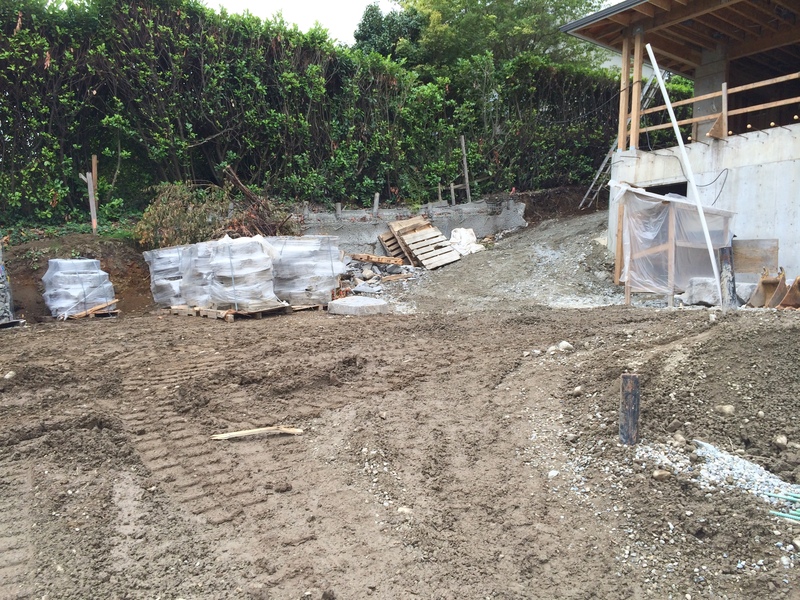 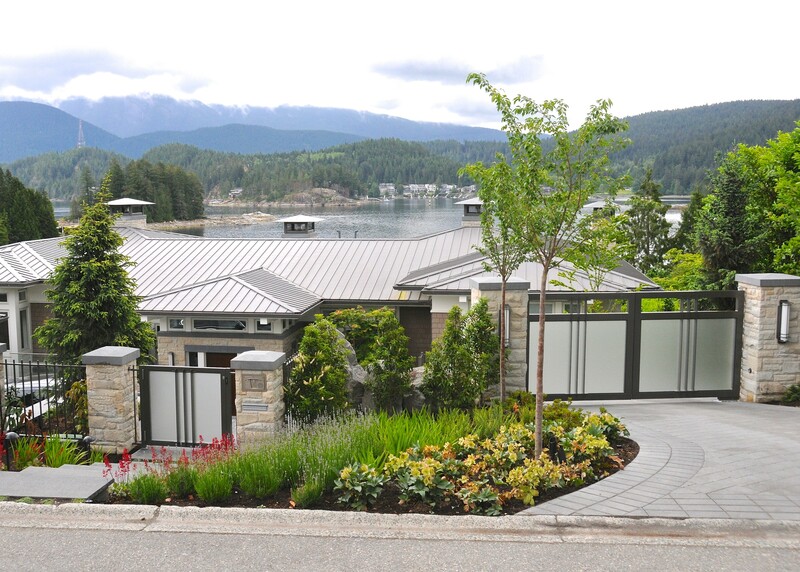 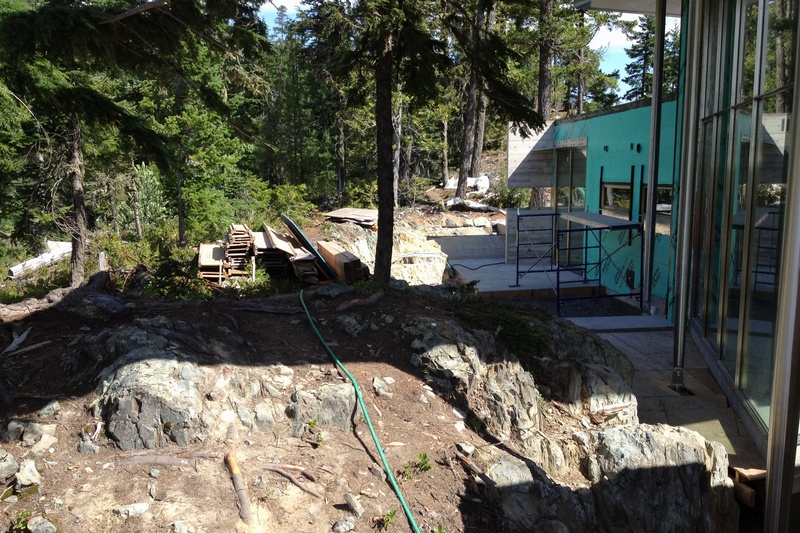 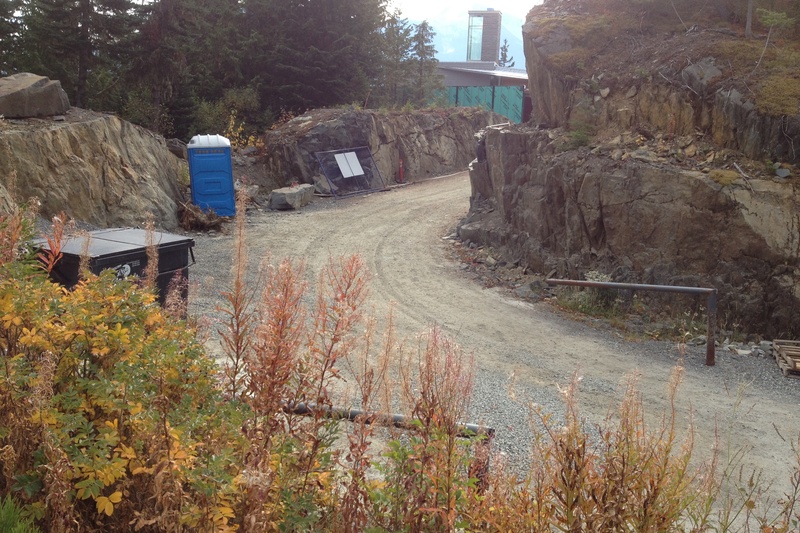 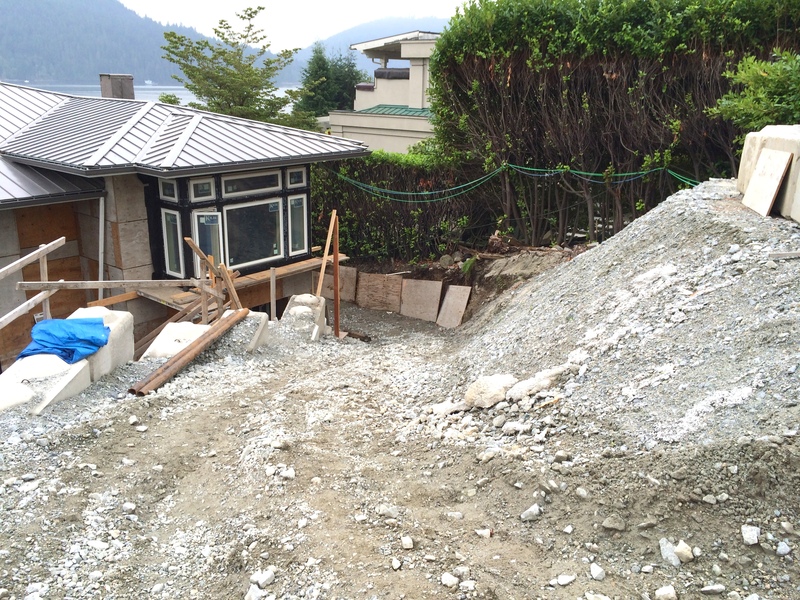 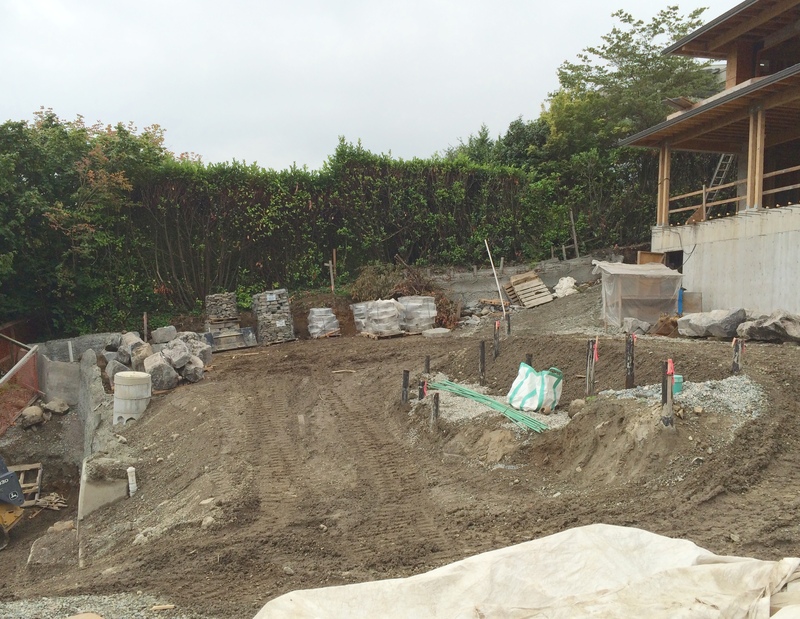 This large waterfront property required comprehensive landscaping, being new construction. 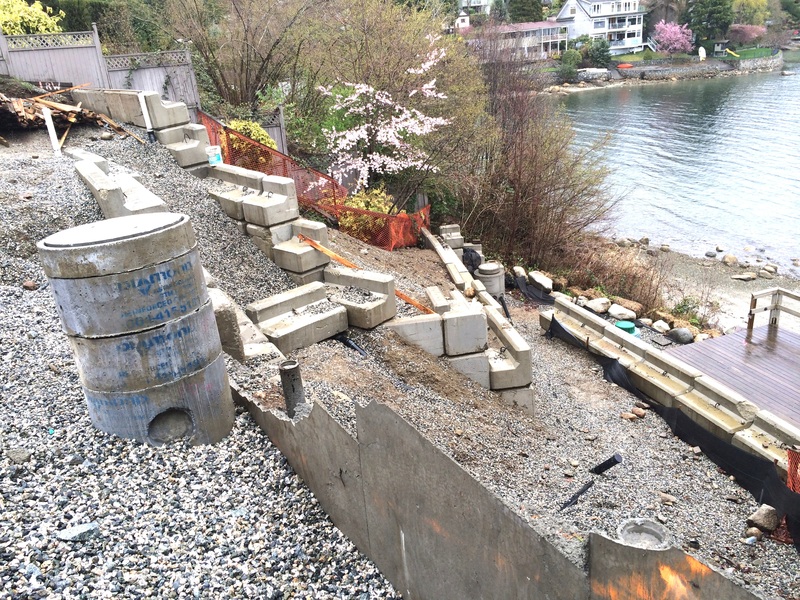 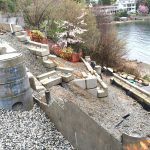 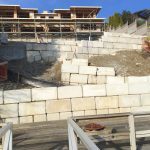 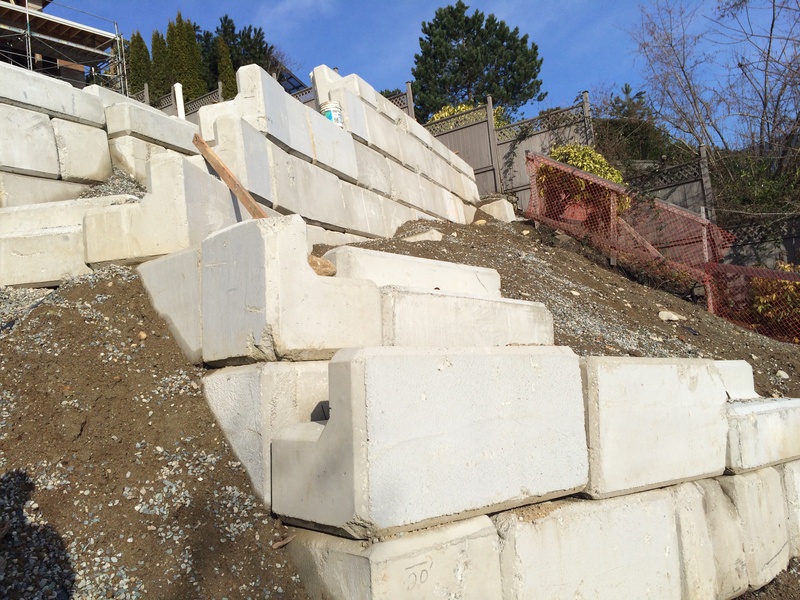 On the ocean-side, lock blocks had been placed for retaining the steep foreshore, and needed to be hidden - using basalt columns and masonry. 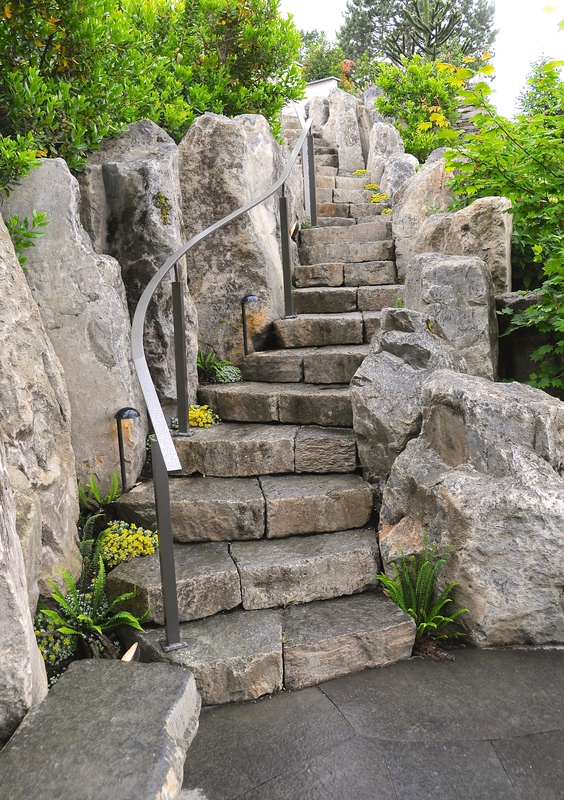 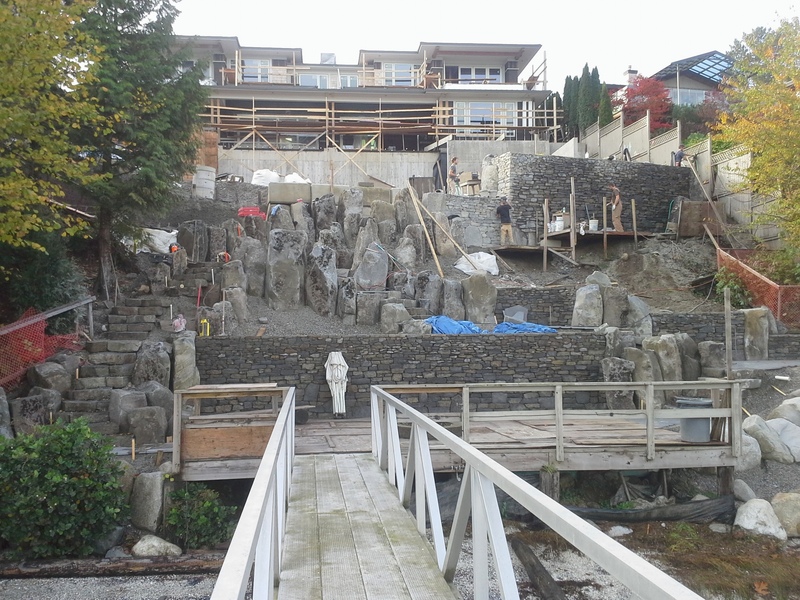 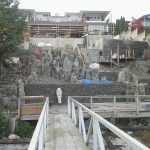 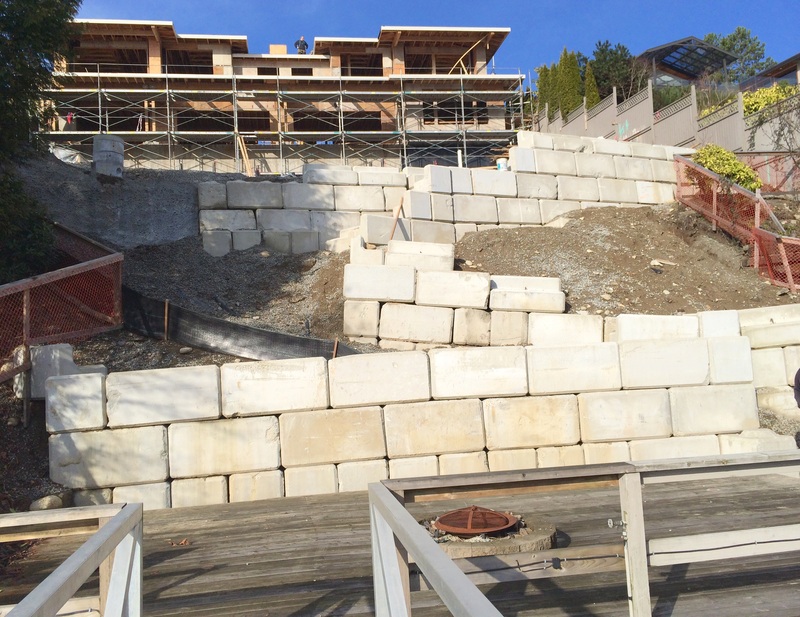 Rustic basalt stairs weave down to the private dock. 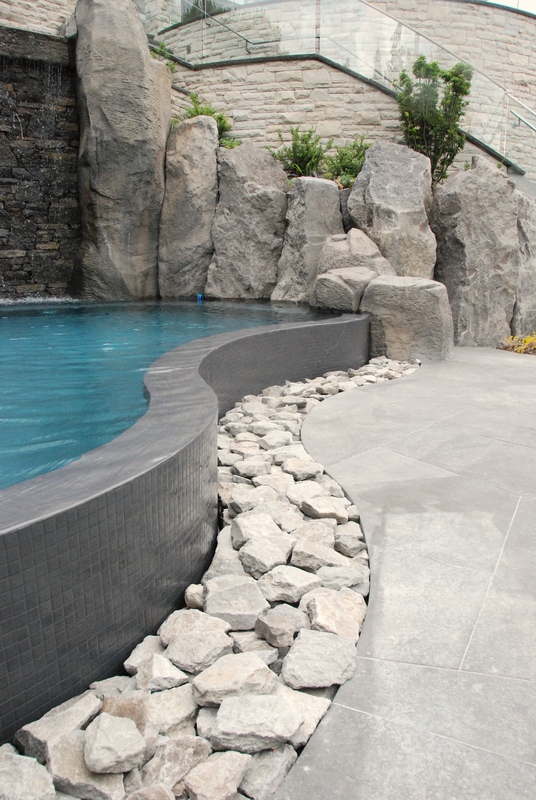 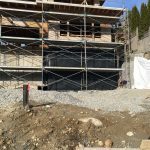 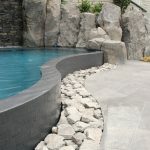 The swimming pool is the main feature of the rear yard, and again features basalt columns, flanking an impressive waterfall feature and hot tub. 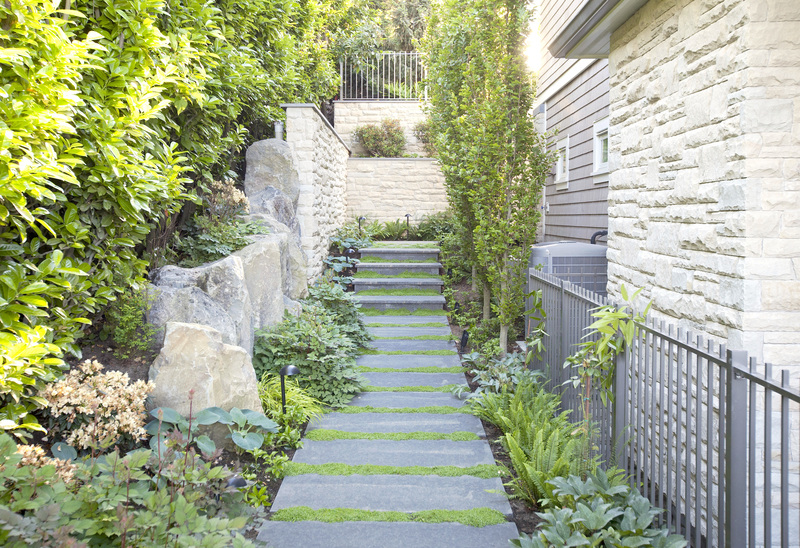 More formal stone stairs, patios and walkways surround the house. 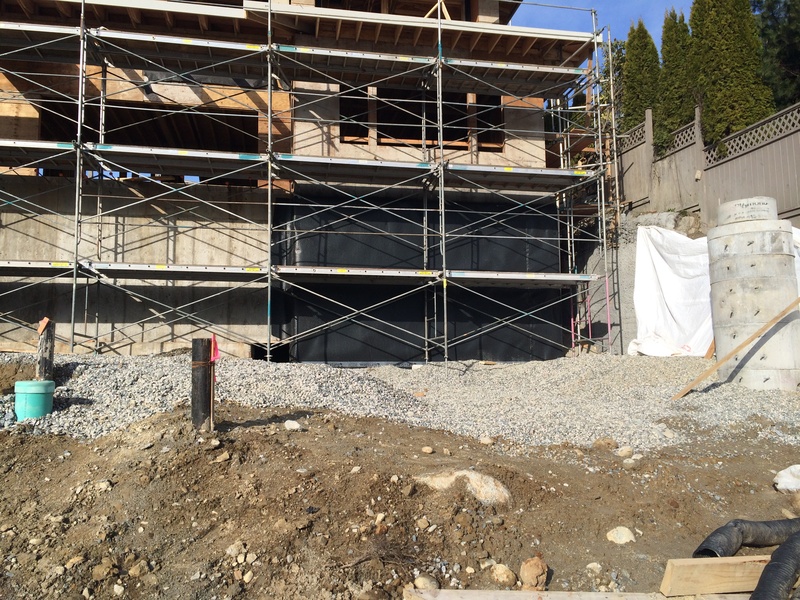 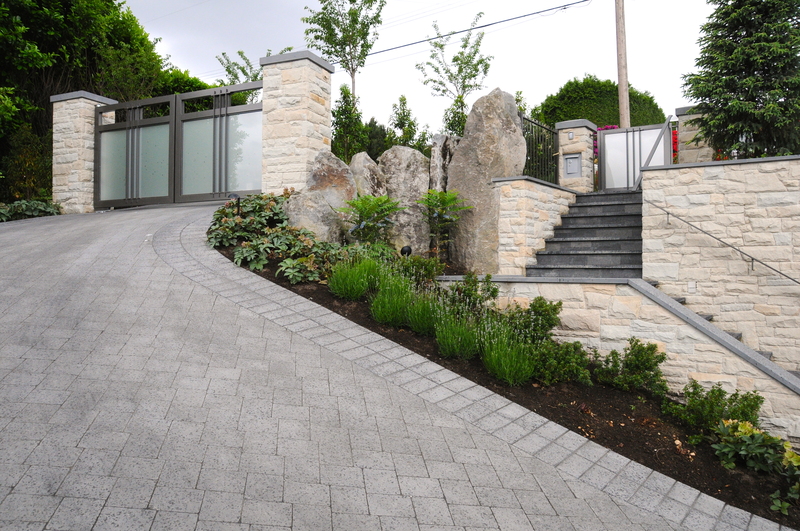 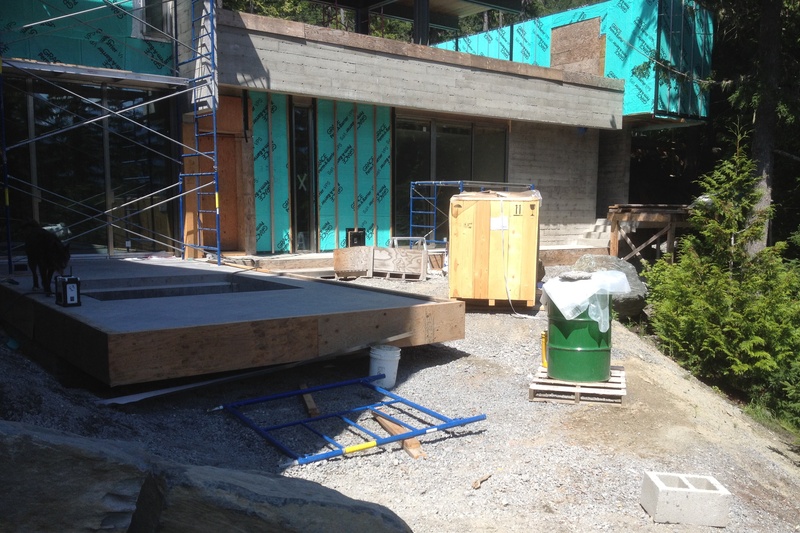 The street-side features an intricate, sloped, paver driveway and grand entry to the residence. 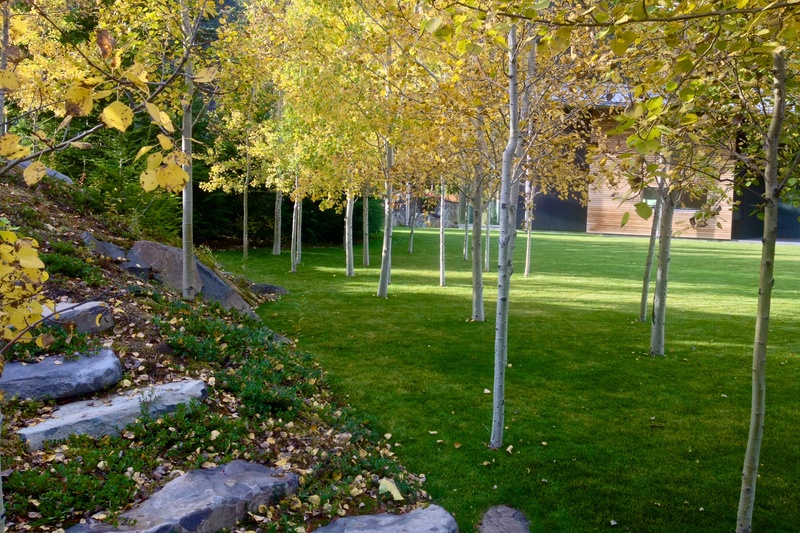 Large feature trees and detailed planting complete the property. 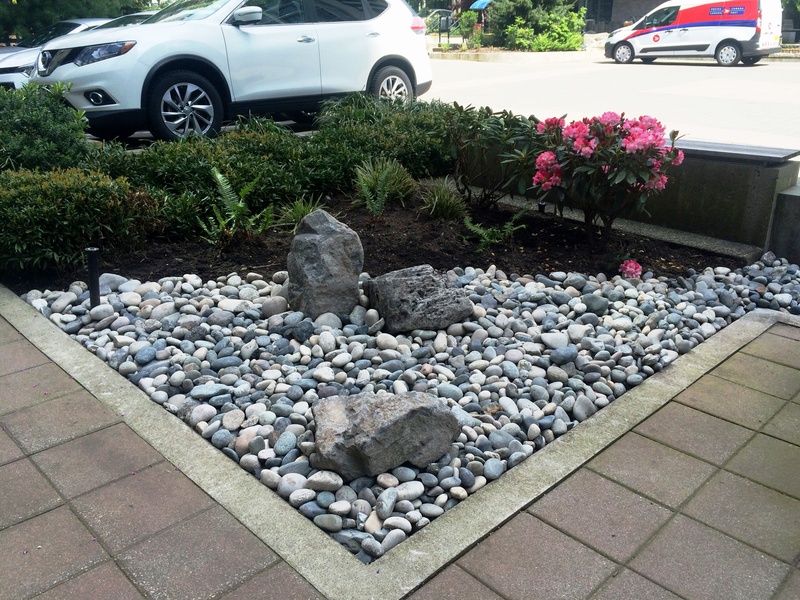 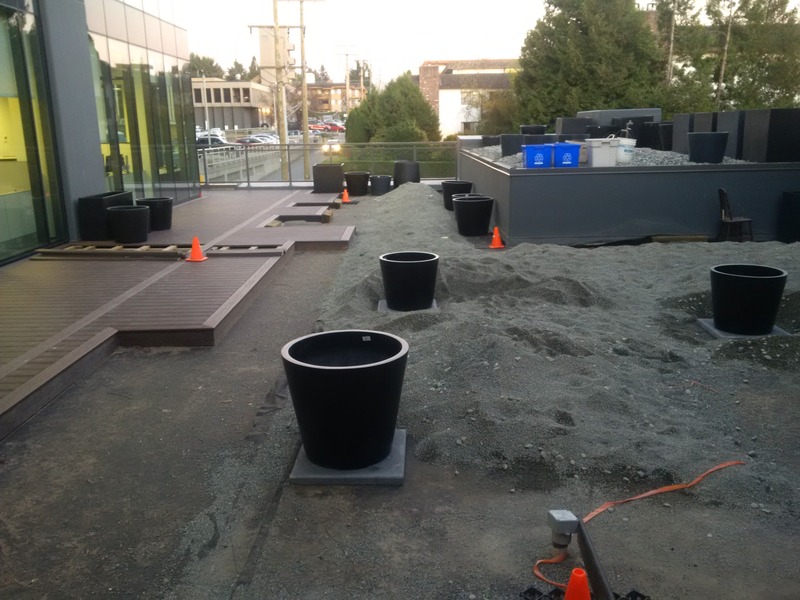 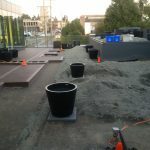 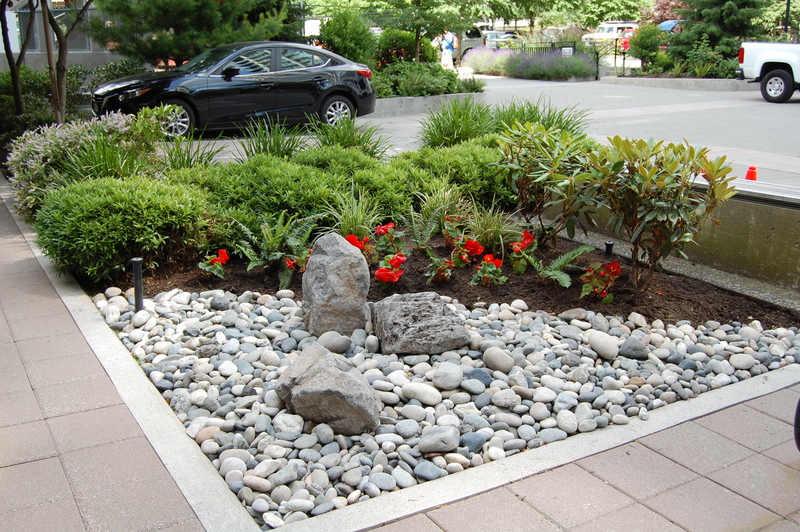 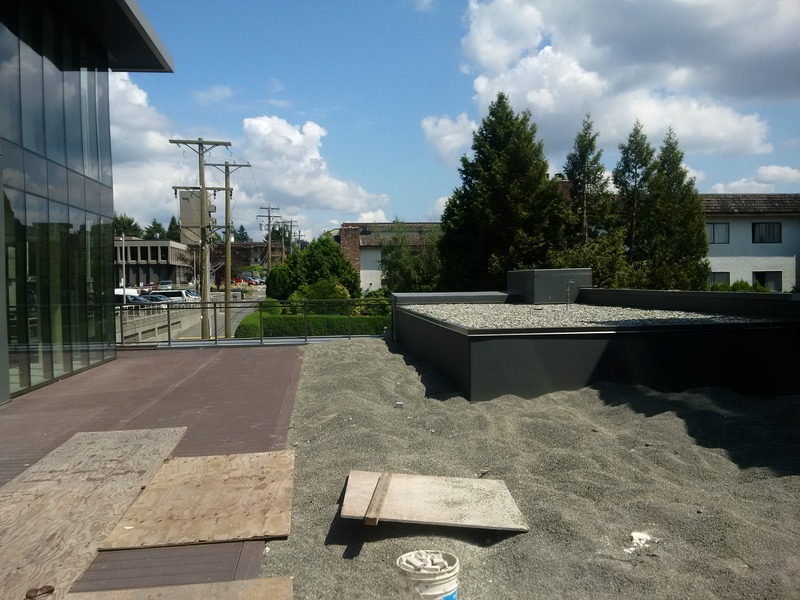 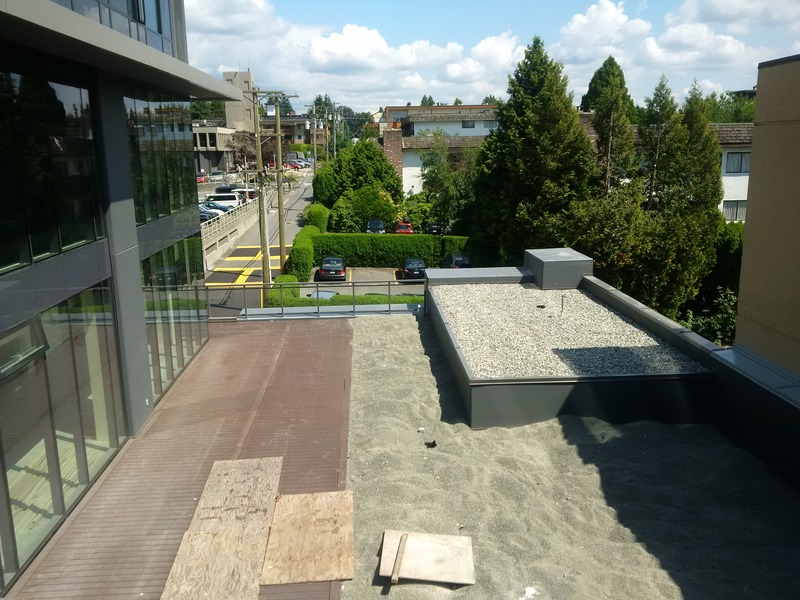 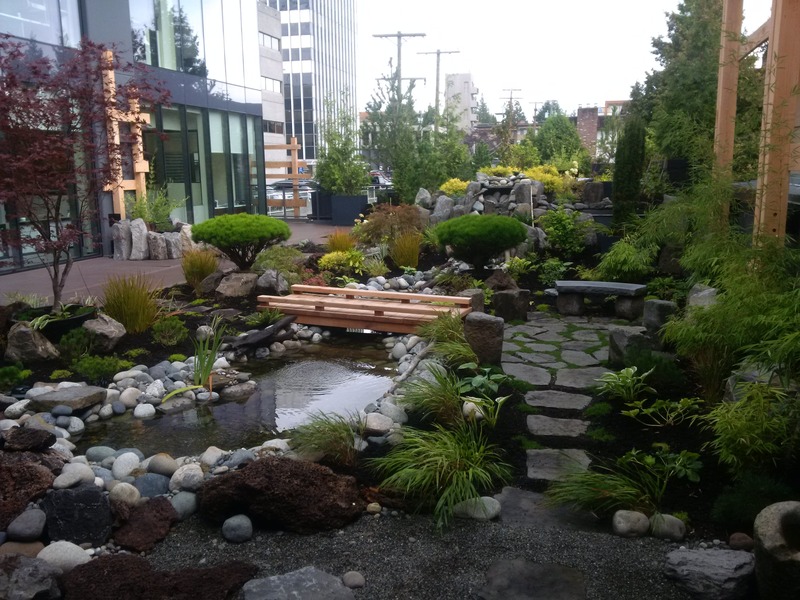 The Zen-Garden at the Blue Shore Financial’s headquarters are located on the L2-rooftop-patio. 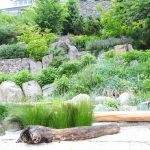 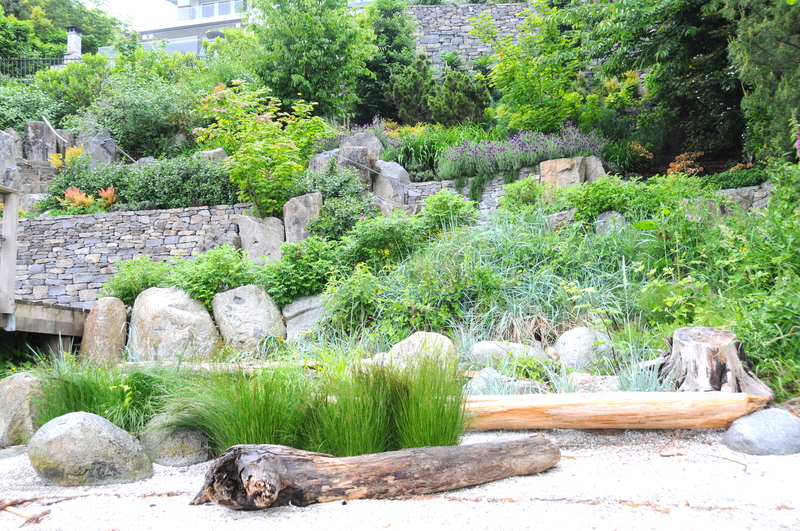 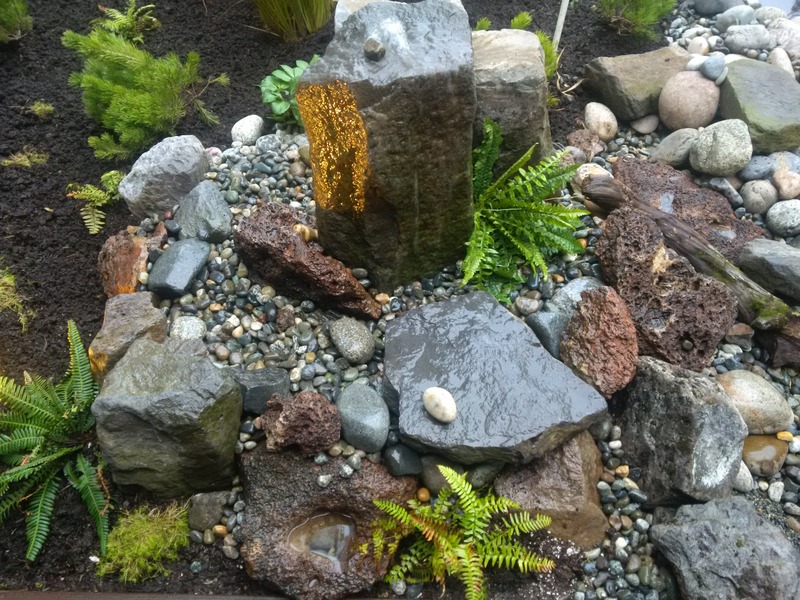 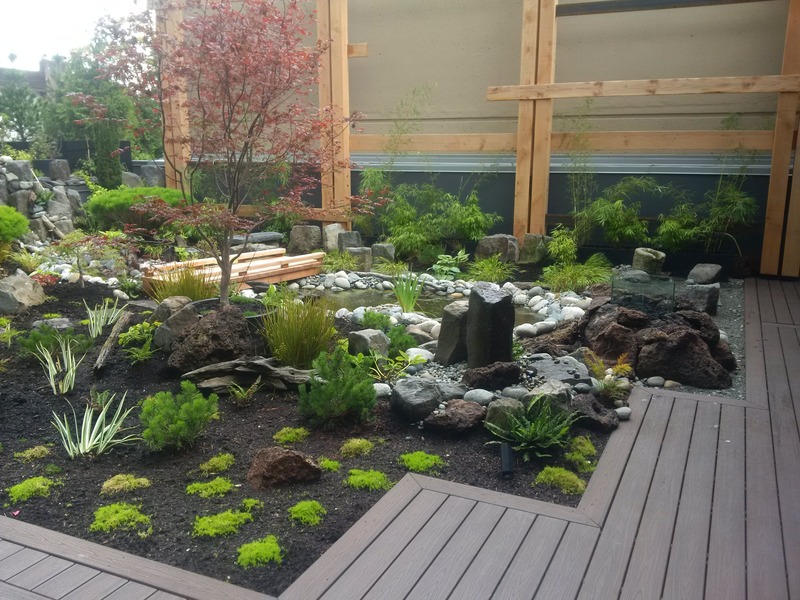 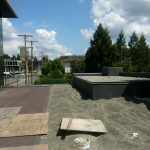 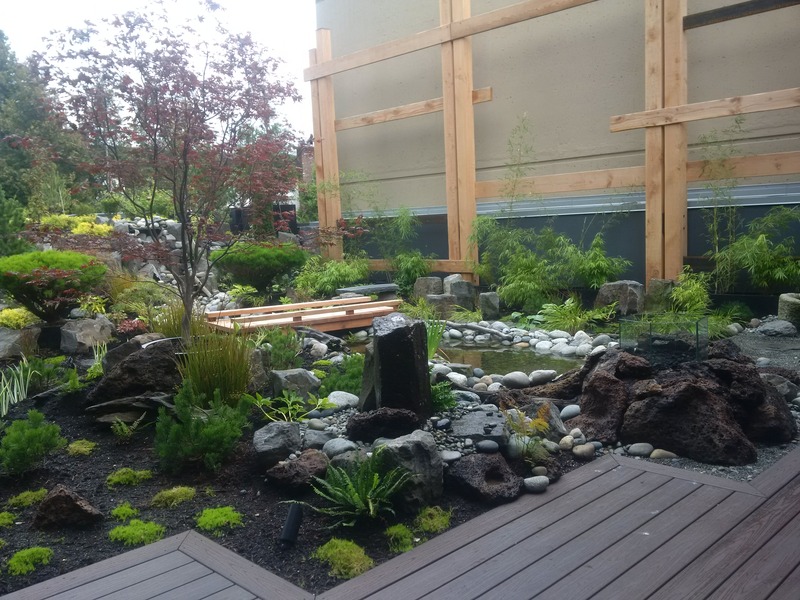 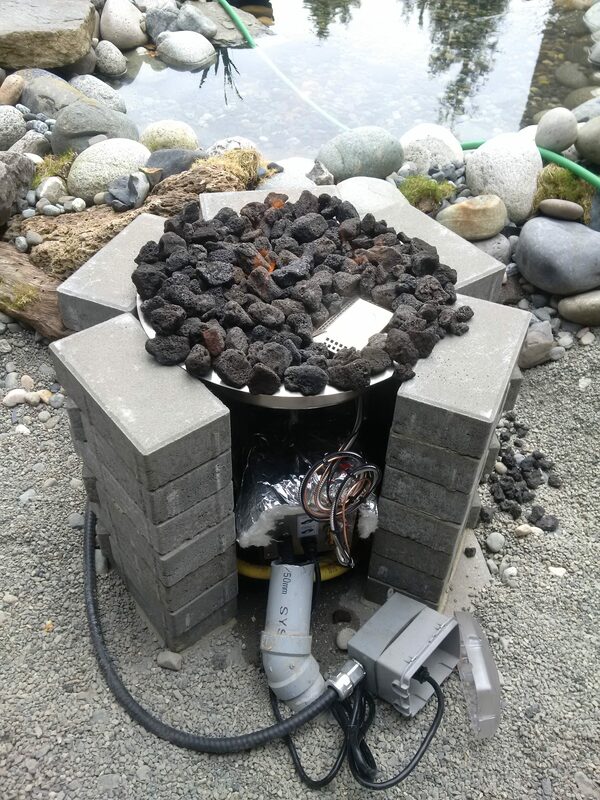 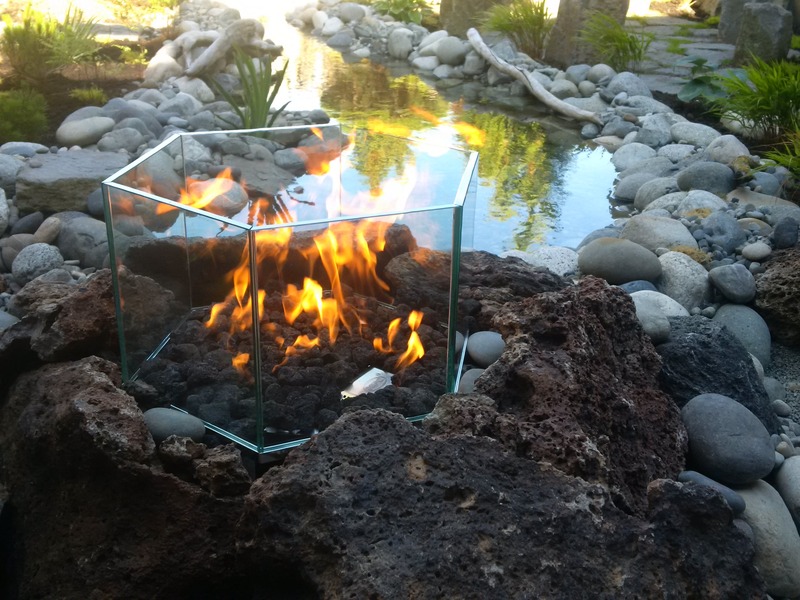 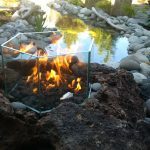 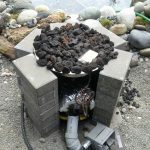 A gravel-rooftop was transformed into a lush natural West-coast-style Zen-garden, complete with water features and gas-fire. 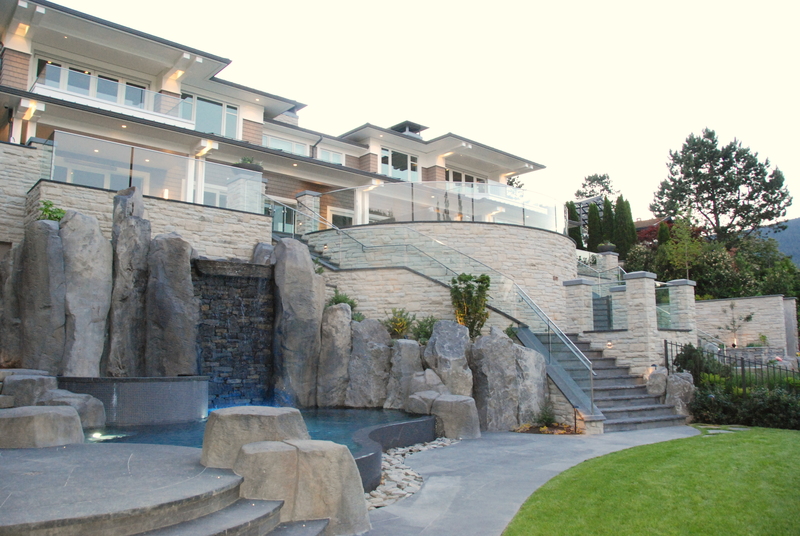 The waterfall off an elevated patio area feeds a pond. 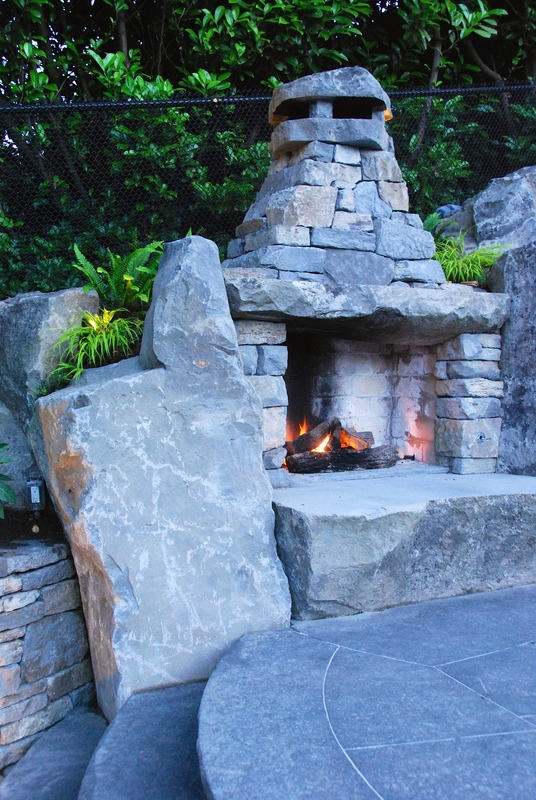 The adjacent gas-fire feature and gurgler-rock provide interest near the boardroom. 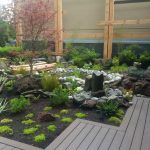 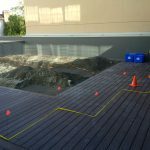 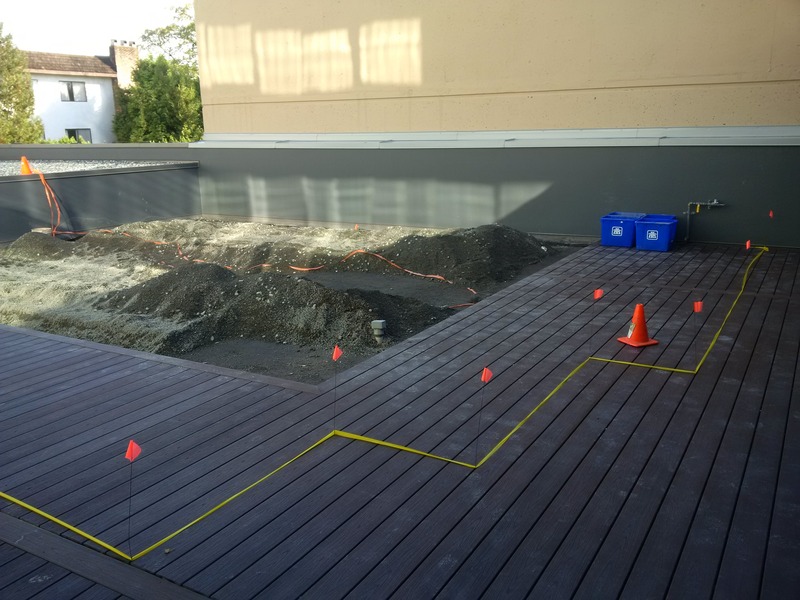 The deck-border zig-zags to connect with the garden and makes room for plants, logs, water basins, pathways and seating areas. 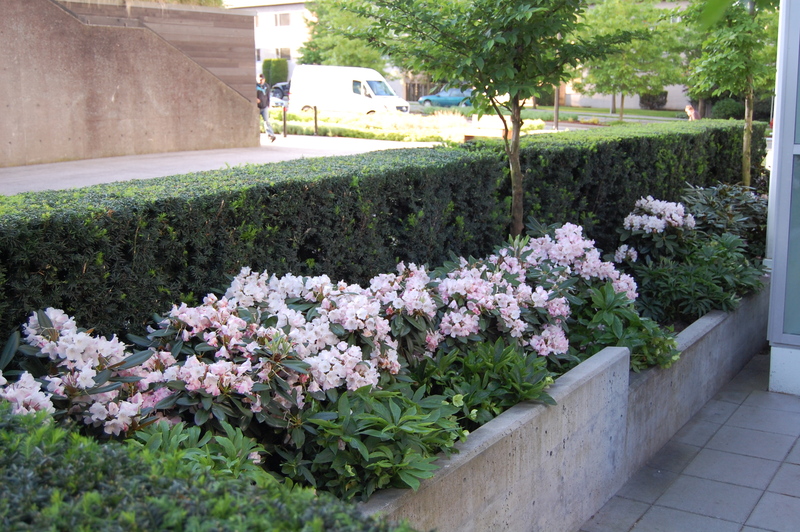 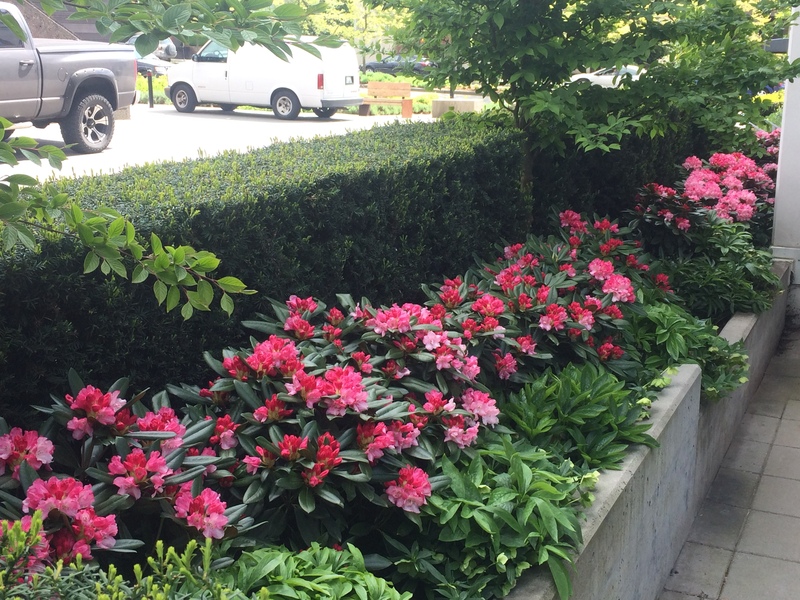 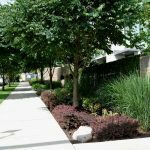 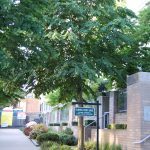 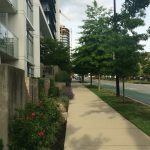 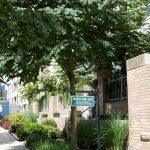 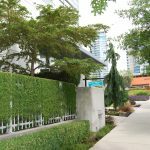 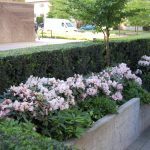 Trees around the perimeter provide privacy and block out roads while plants in the center provide interest, height and colour. 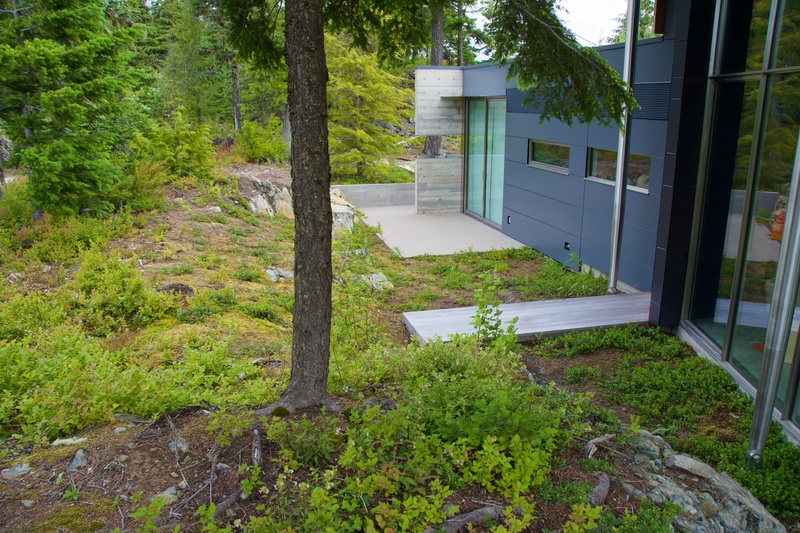 Moss, ferns and other elements complete the natural look of a West-coast-forest. 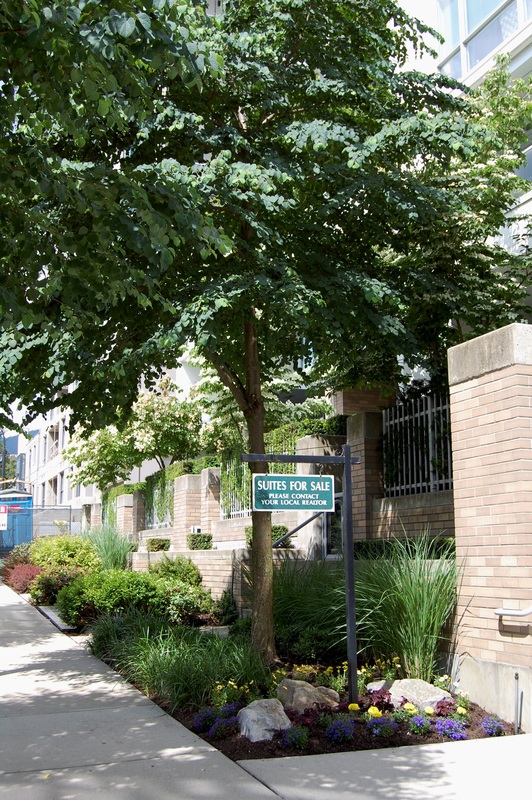 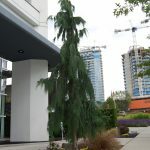 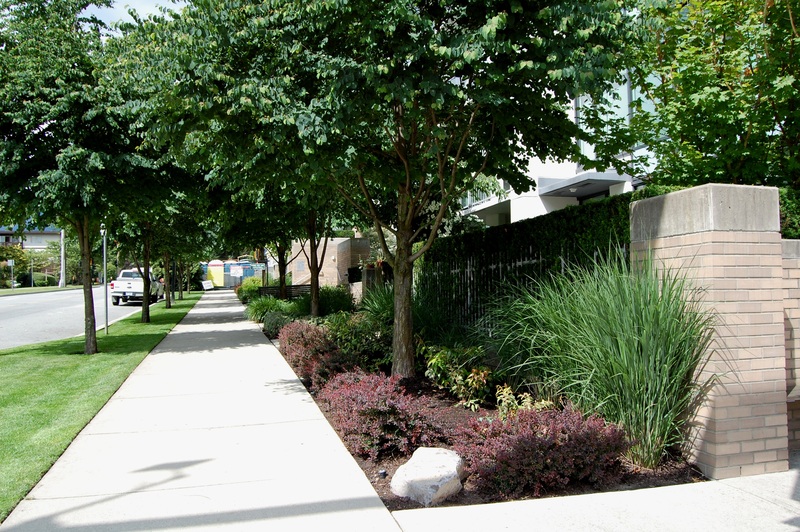 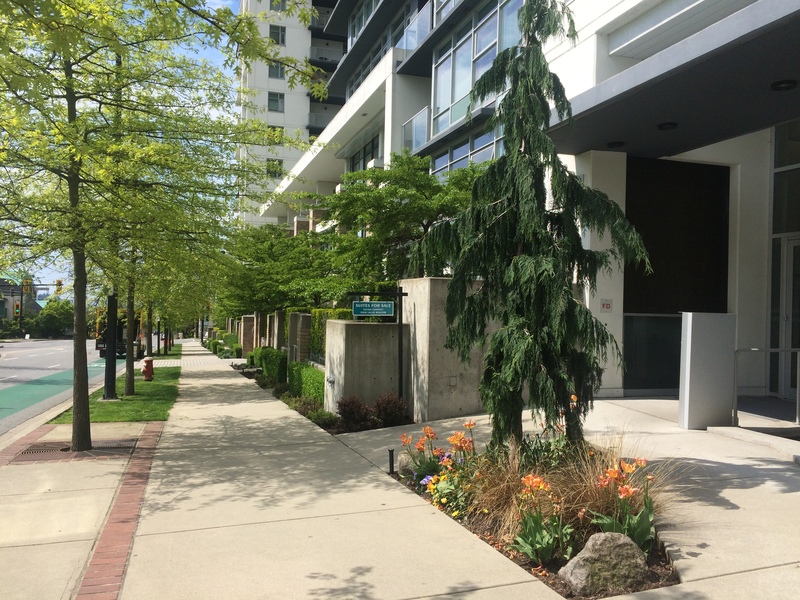 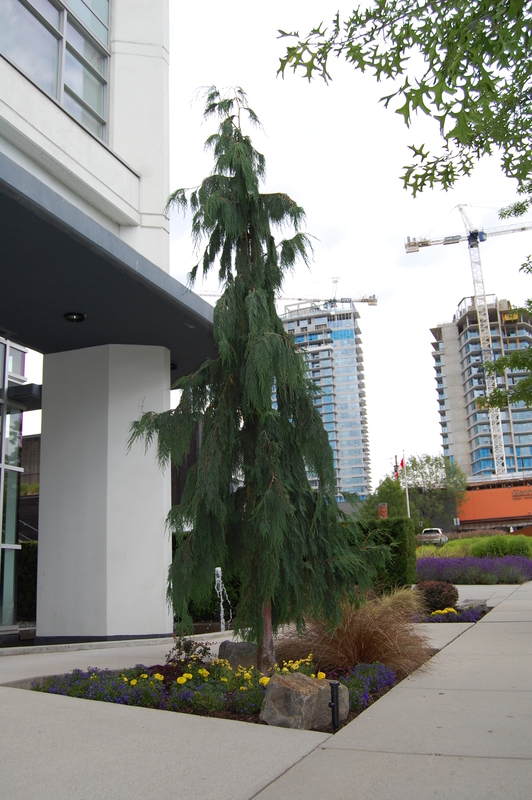 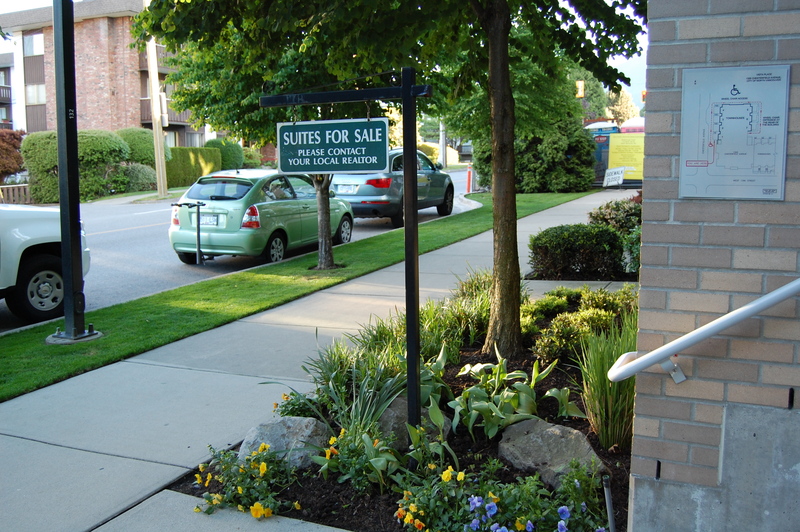 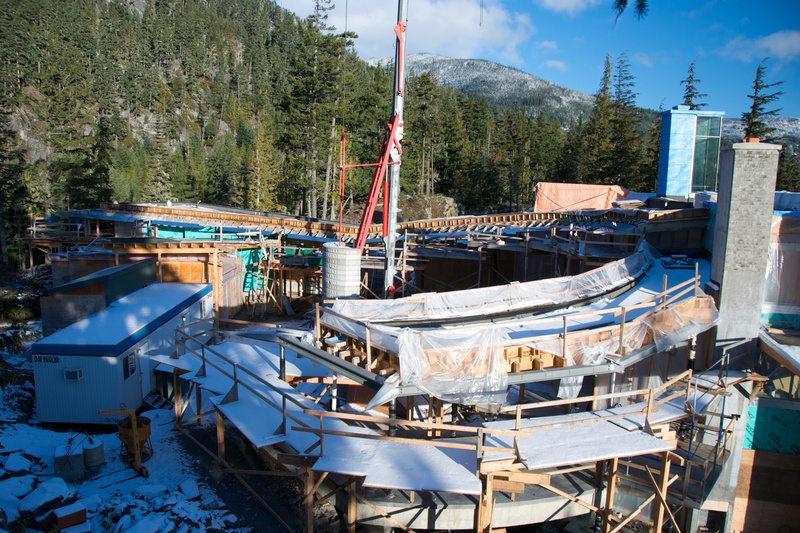 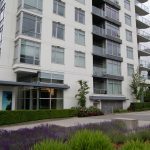 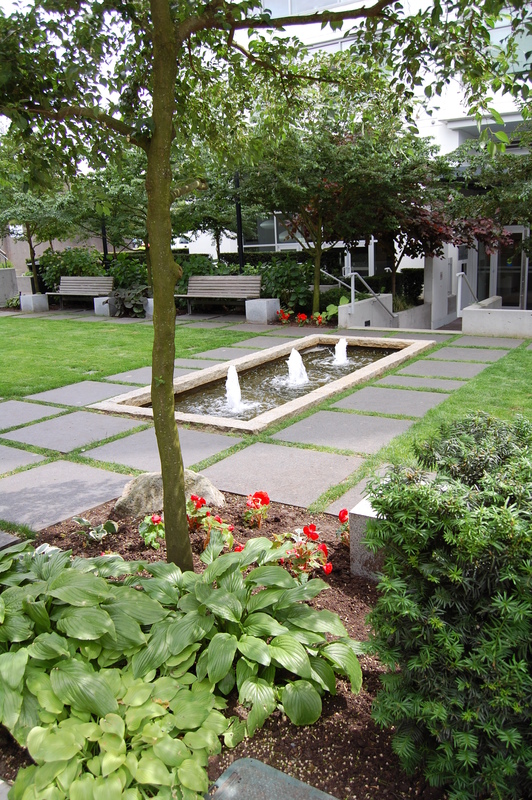 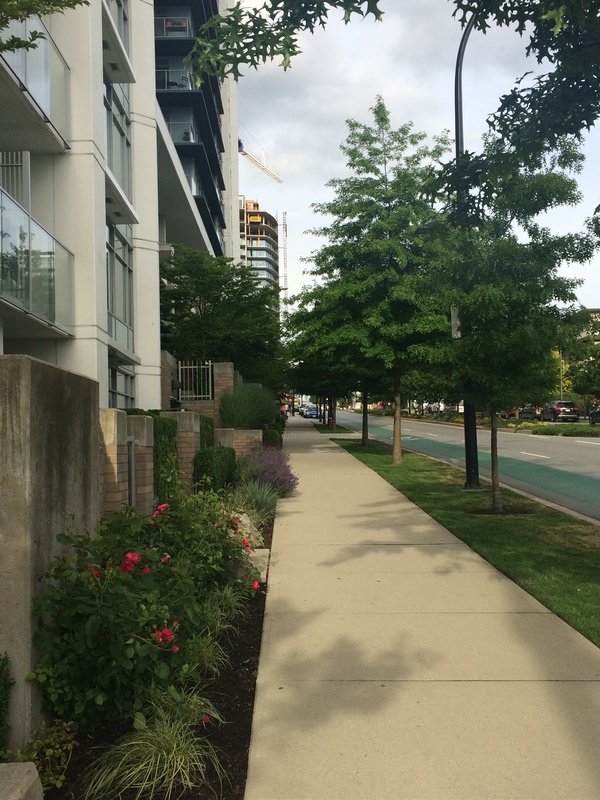 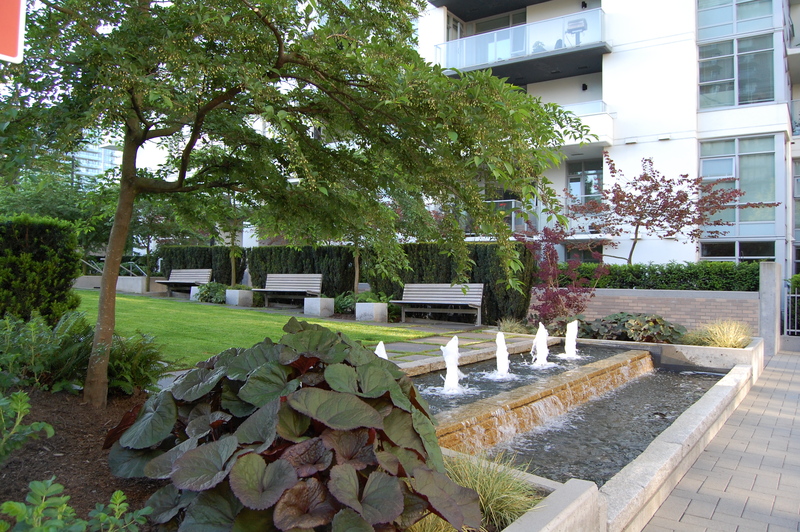 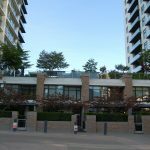 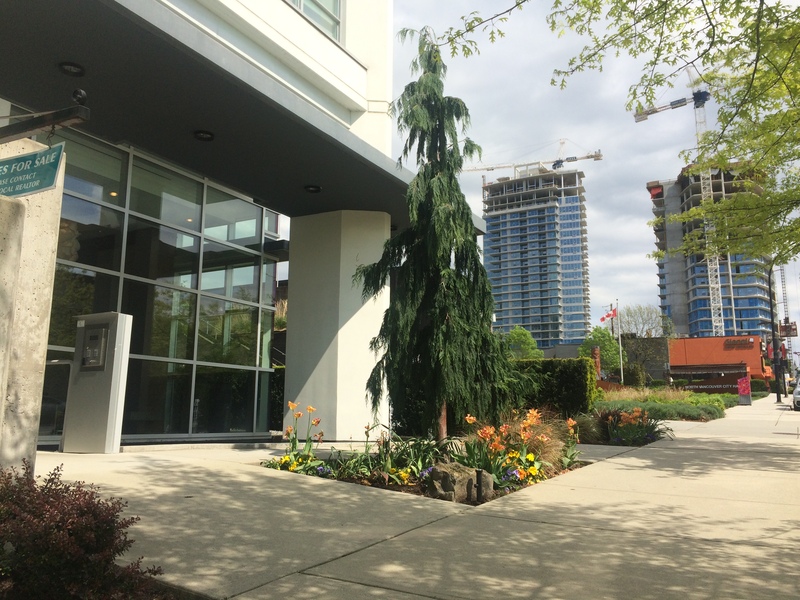 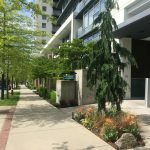 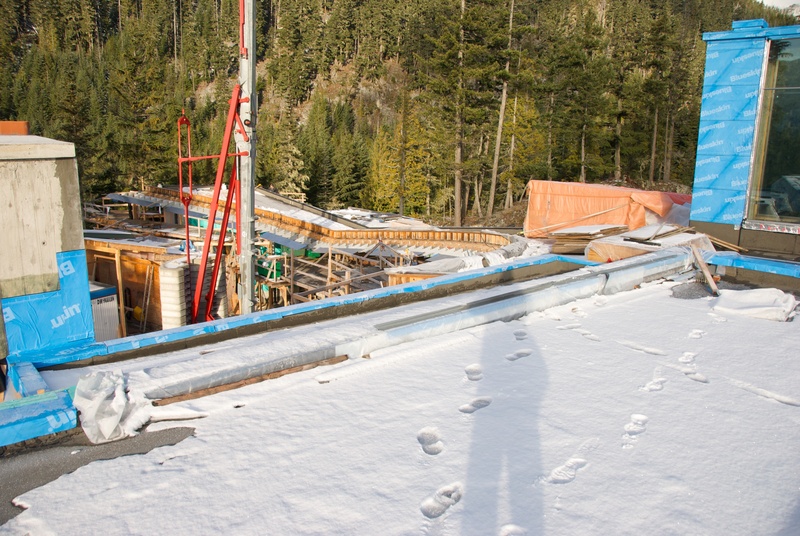 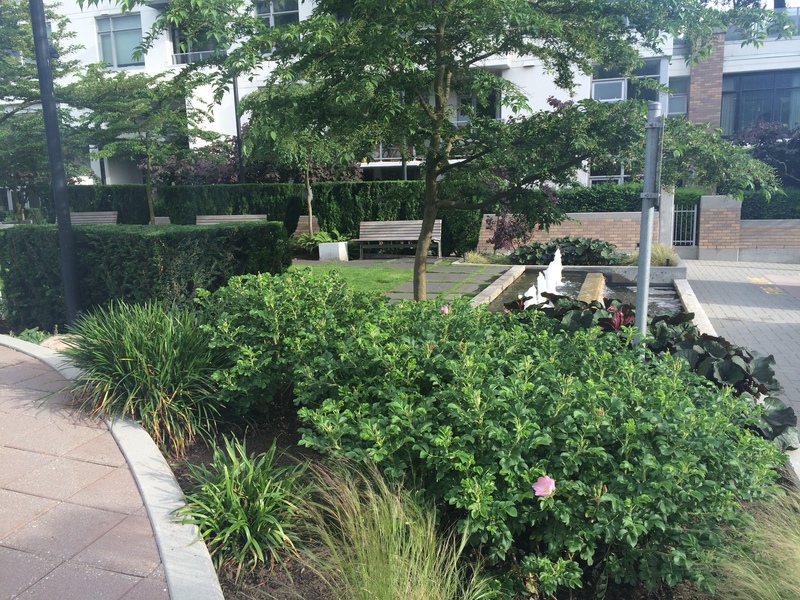 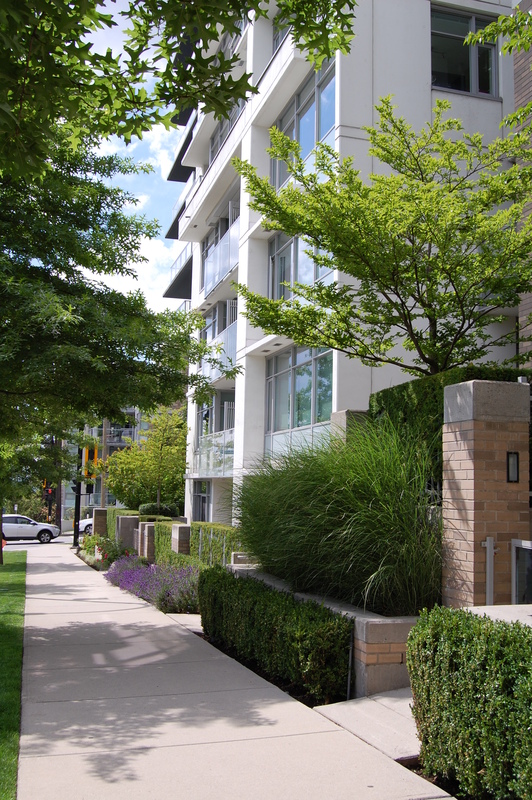 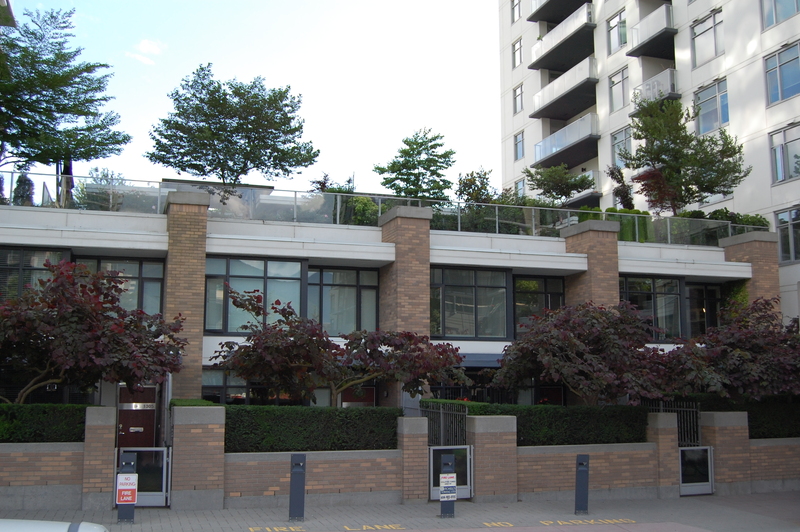 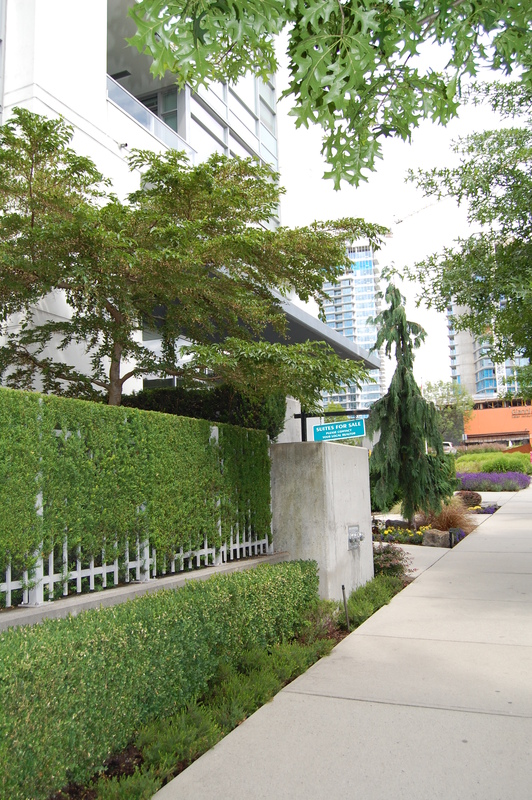 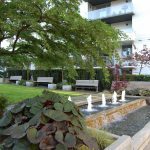 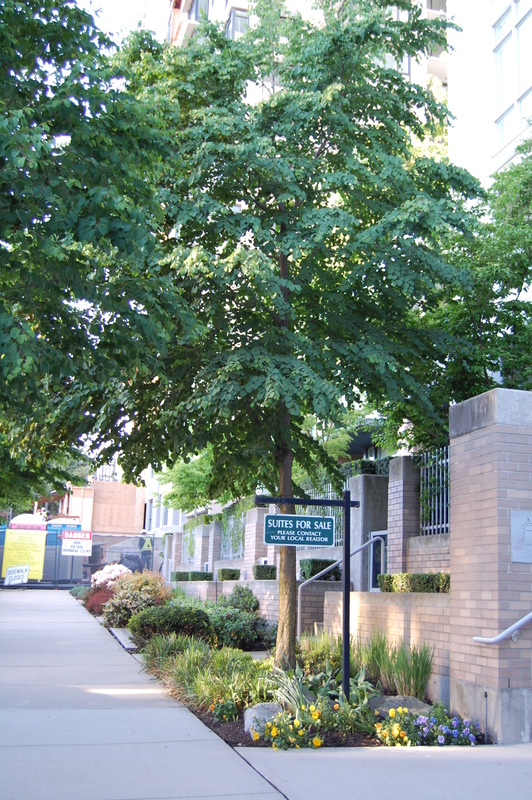 Vista Place is an upscale condominium complex located in North Vancouver. 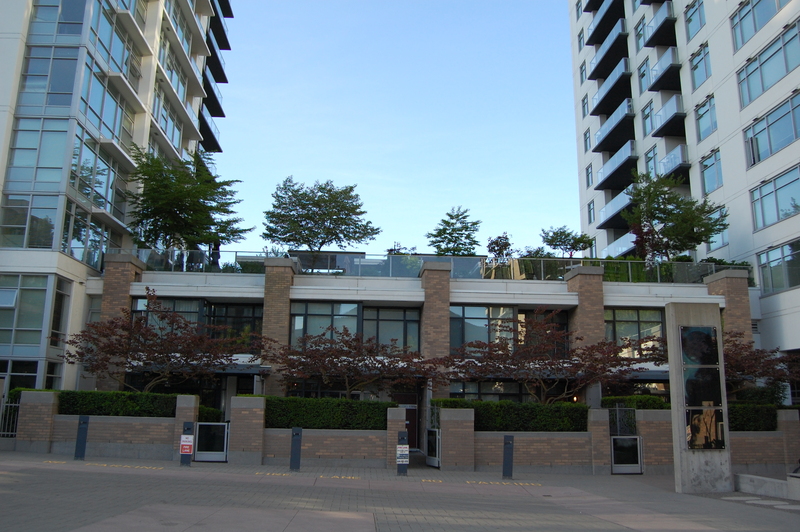 Adjacent to City Hall and the City Public Library, Vista Place is comprised of two soaring residential towers connected by a podium containing two-storey city town homes. 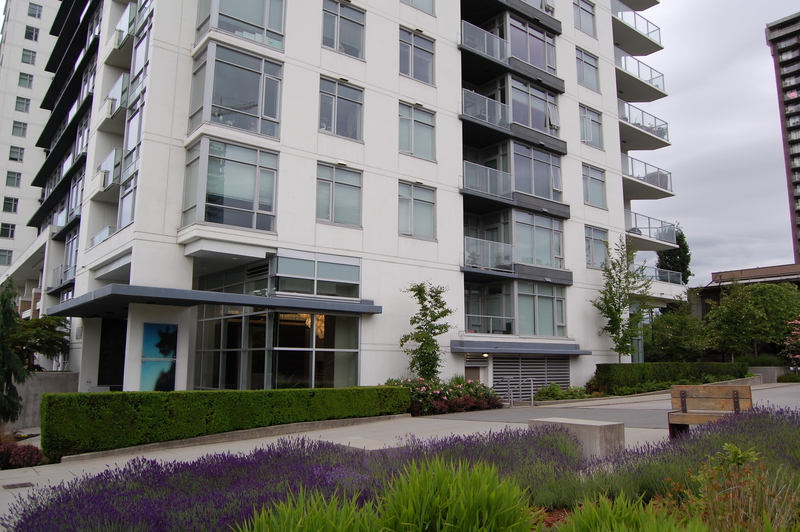 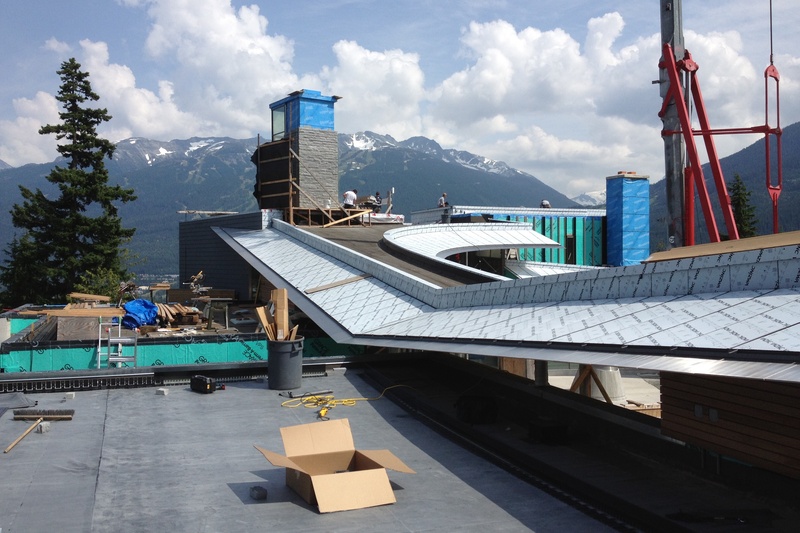 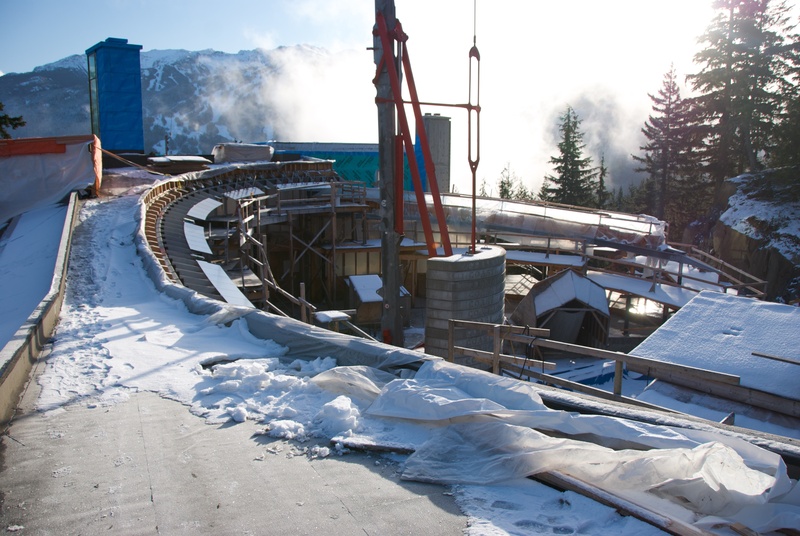 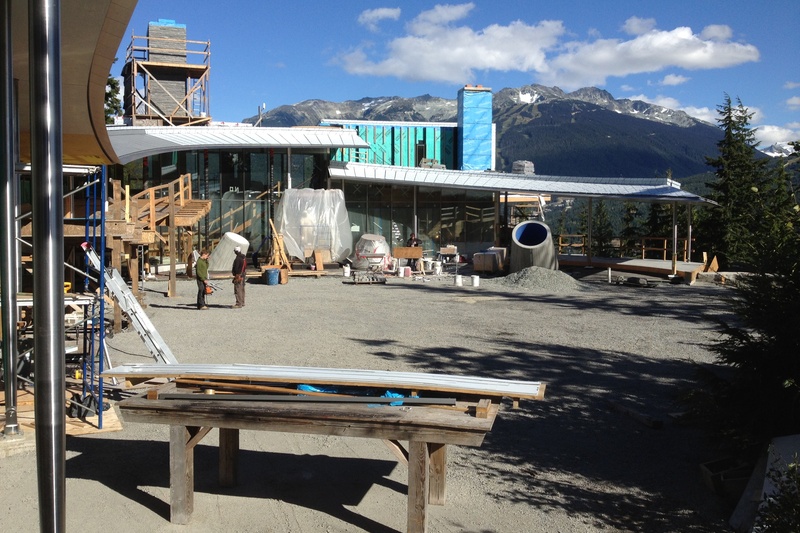 As its name suggests, it offers spectacular views of the north shore mountains, harbour and city skyline. 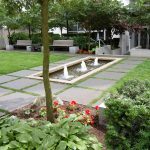 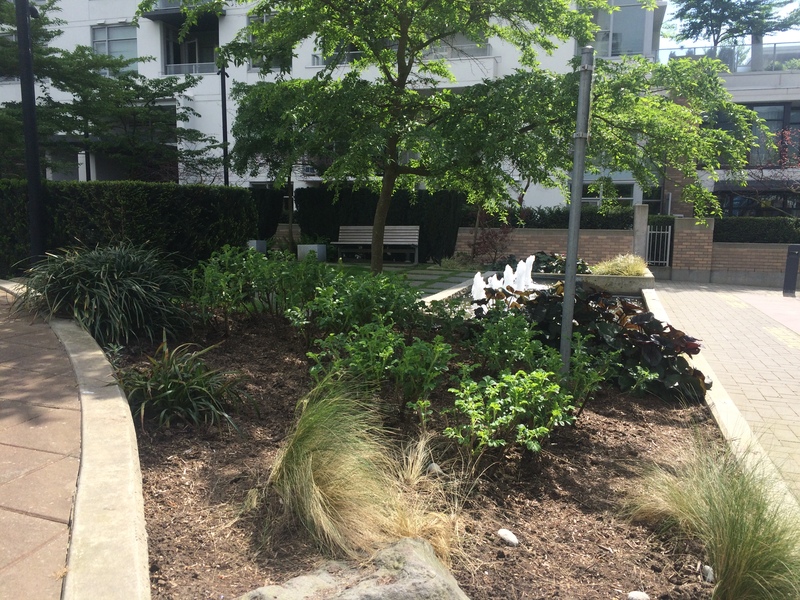 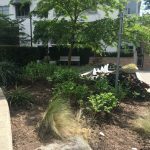 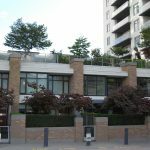 The landscape features a large amount of formal hedging, softened by informal perennials, trees and shrubs and tranquil modern water features located throughout the courtyard. 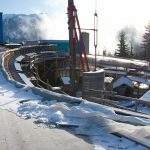 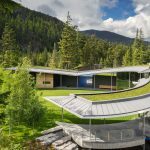 This unique and modern home is located 240 meters above the valley floor on a sunny mountain bench with exceptional mountain views. 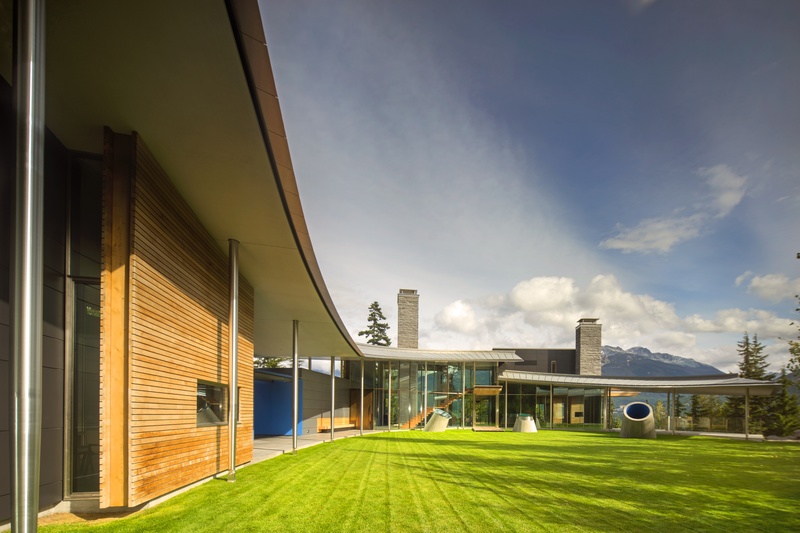 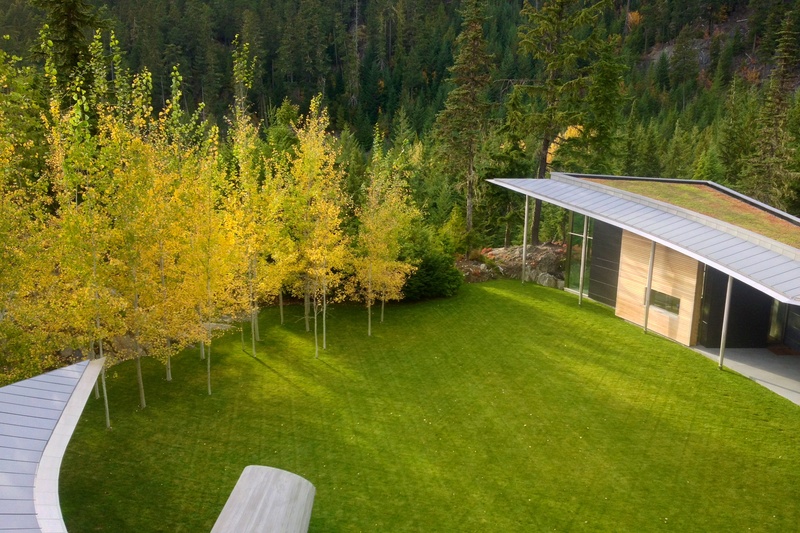 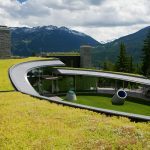 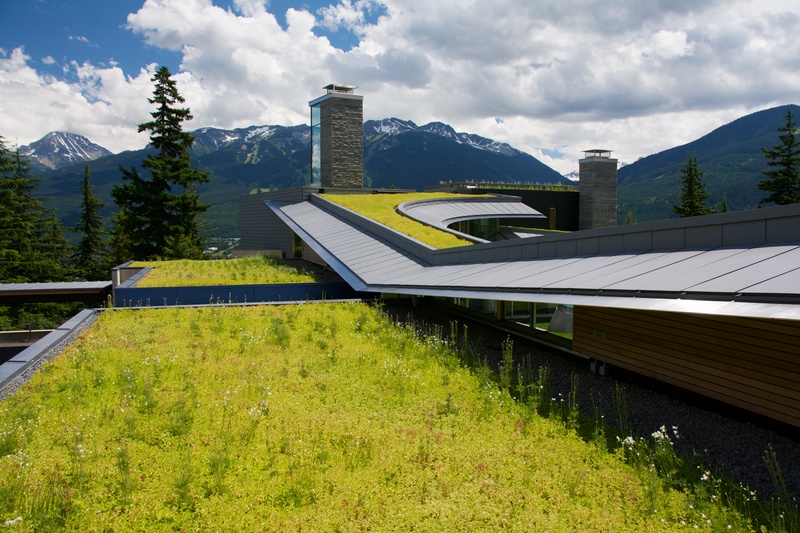 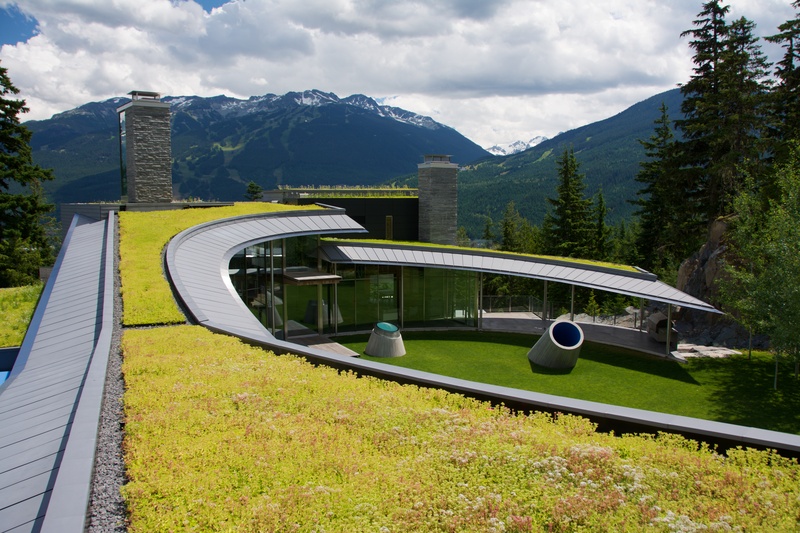 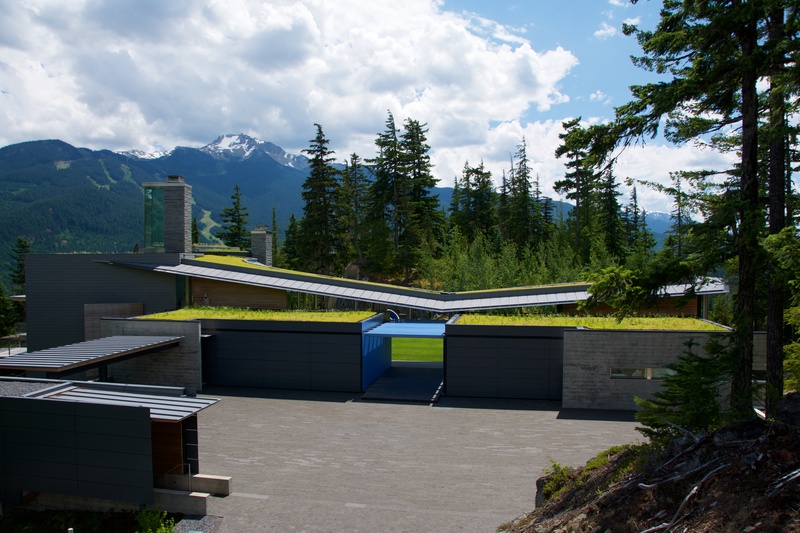 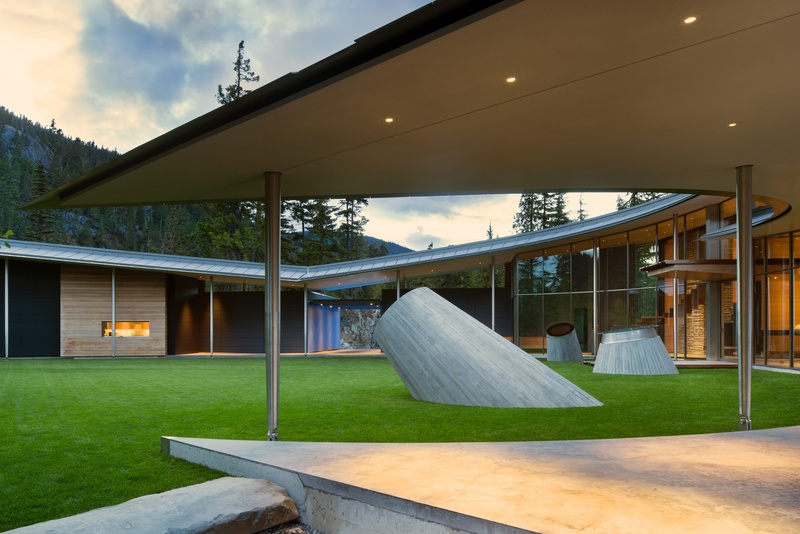 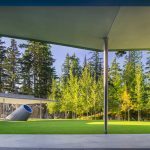 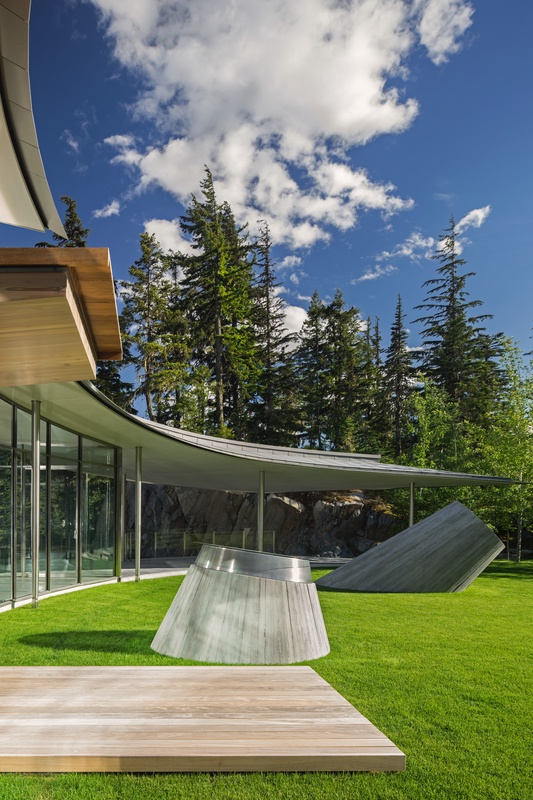 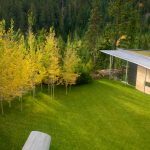 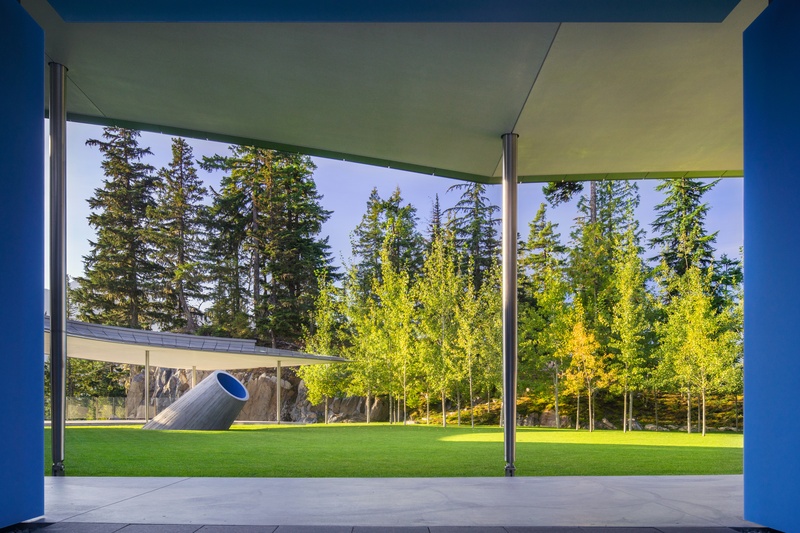 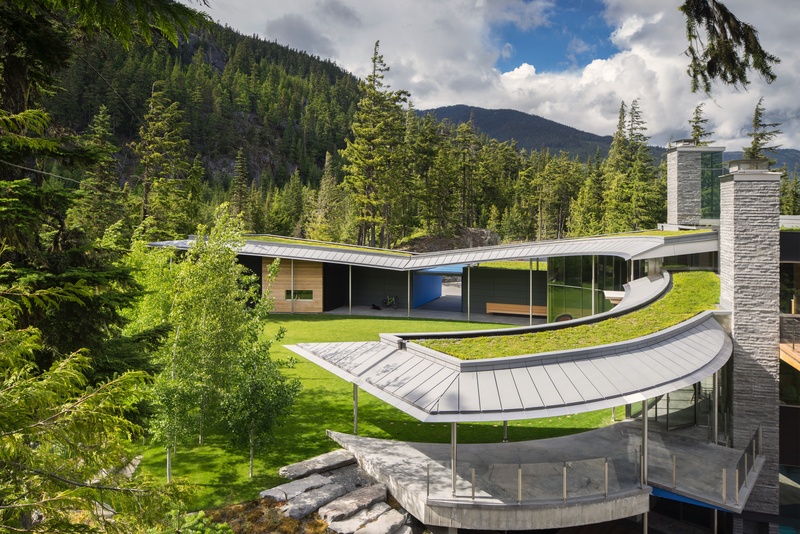 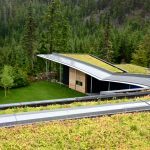 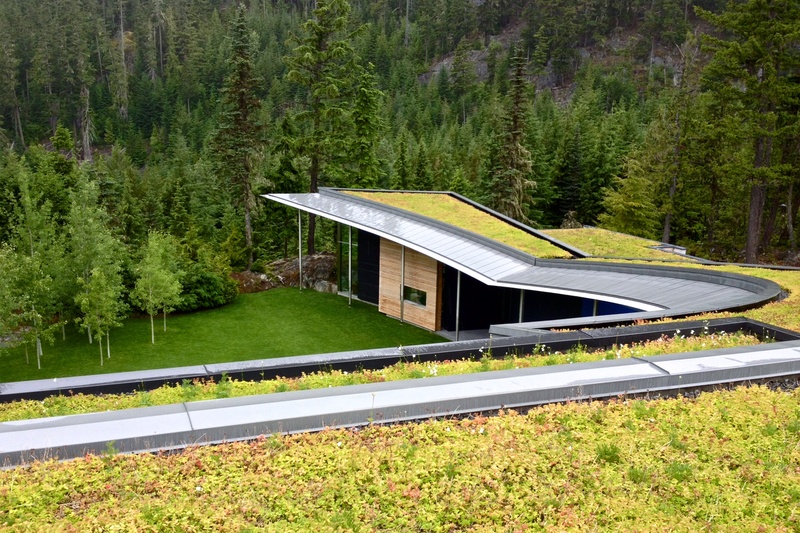 The main features of the landscape are a large flat lawn with an aspen grove in the main courtyard and a complex 500 square meter green roof. 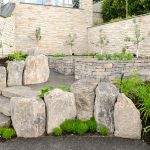 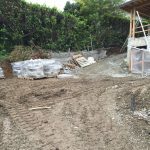 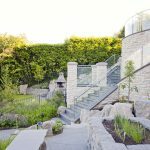 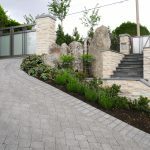 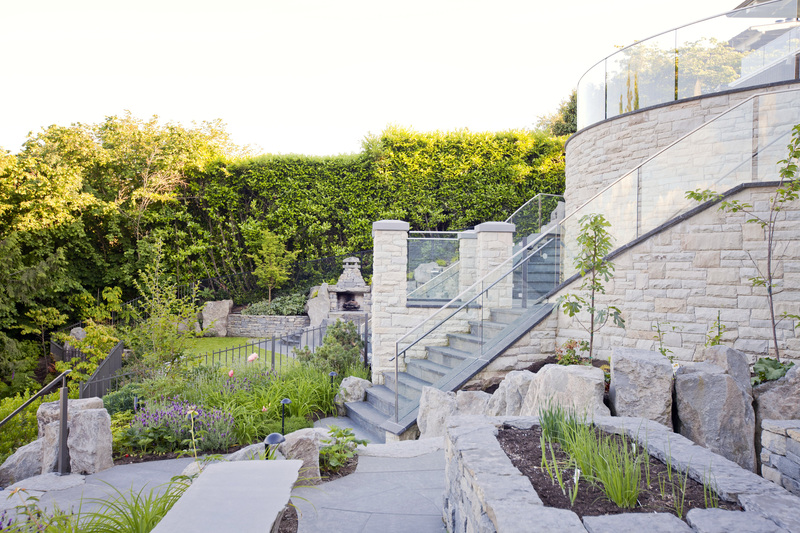 The focus and objective for the remainder of the property was to have it look like it had not been landscaped at all and instead was undisturbed and in its natural state giving the impression that the newly built home had always been there.